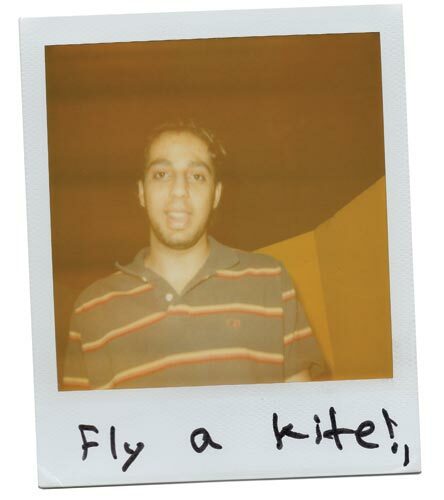 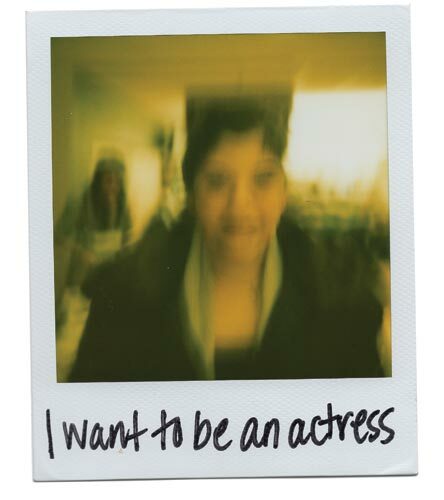 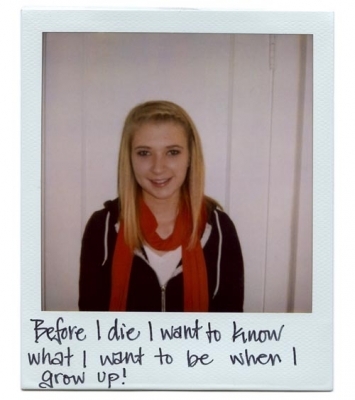 Before I die I want to know what I want to be when i grow up! Witness my nieces achieving their dreams. 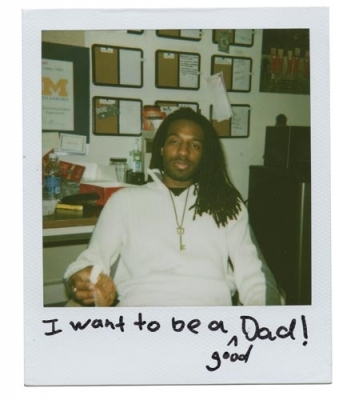 I want to be a good Dad! 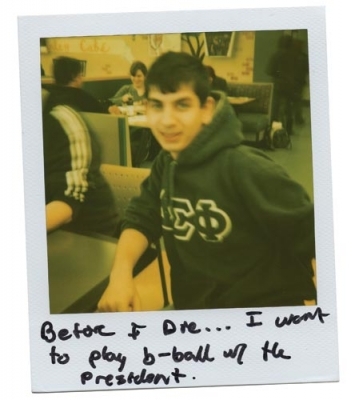 Before I die… I want to play b-ball w/ the president. 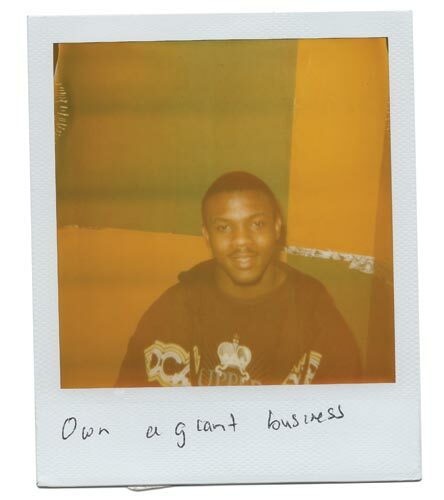 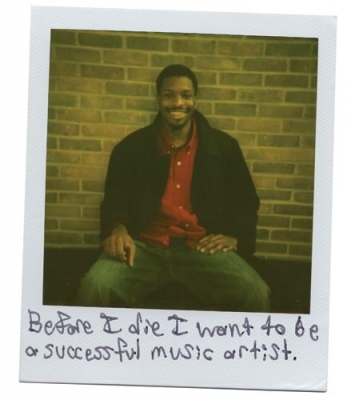 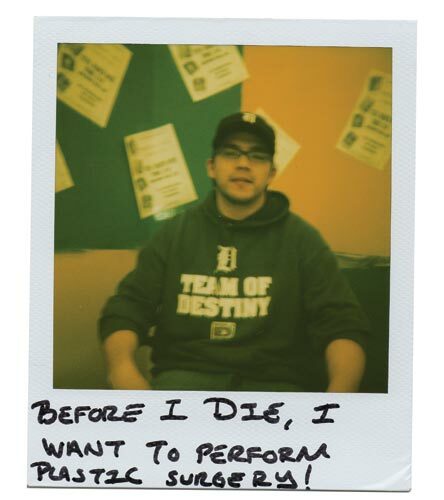 Before I die I want to be a successful music artist. 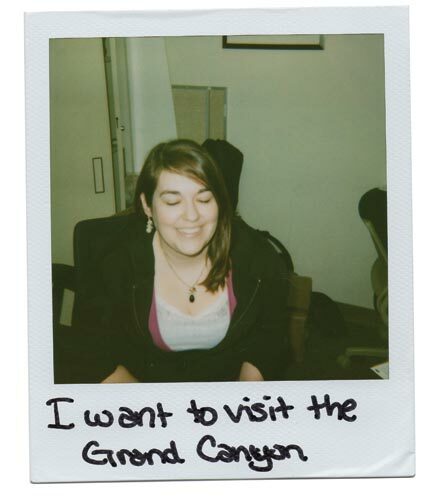 I want to visit the Grand Canyon. 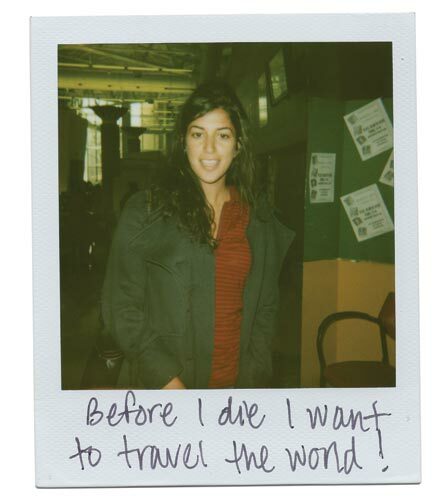 Before I die I want to travel to South American and Africa. 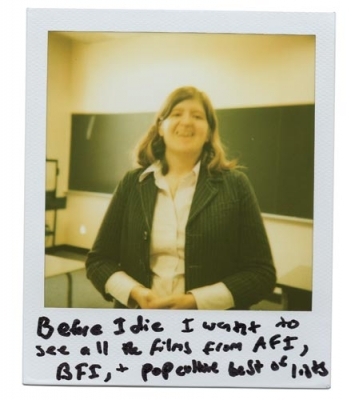 Before I die I want to see all the films from AFI, BFI, + pop culture best of lists. 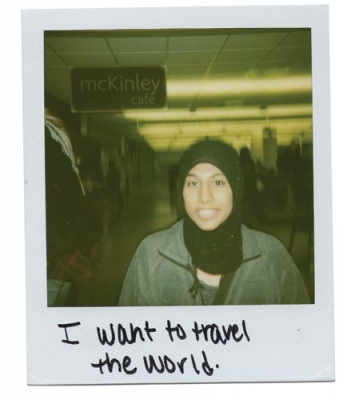 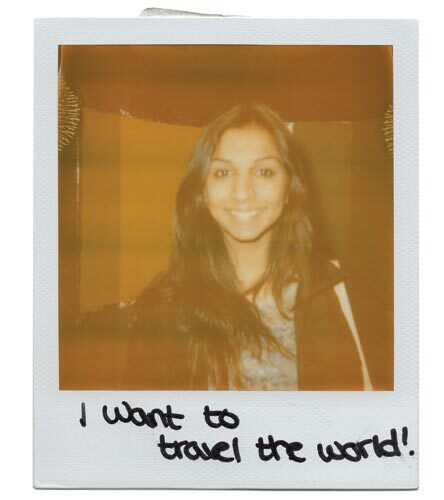 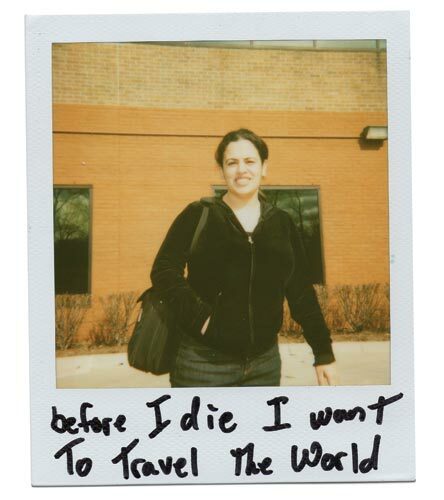 Before I die I want to travel the world! 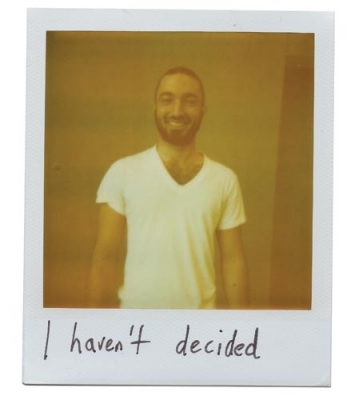 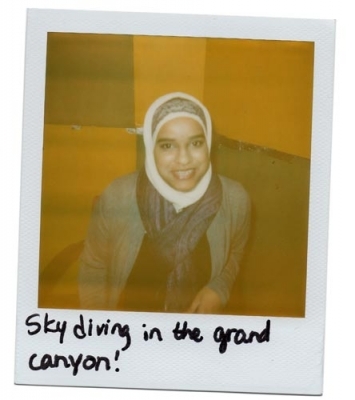 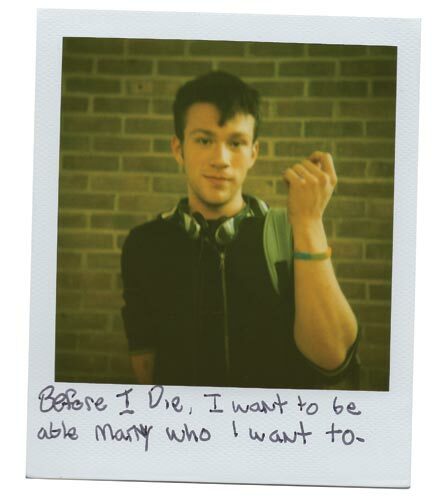 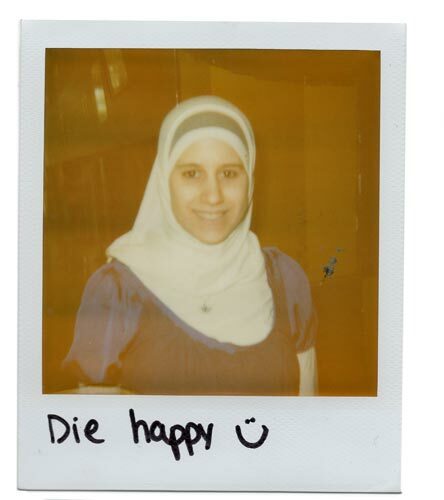 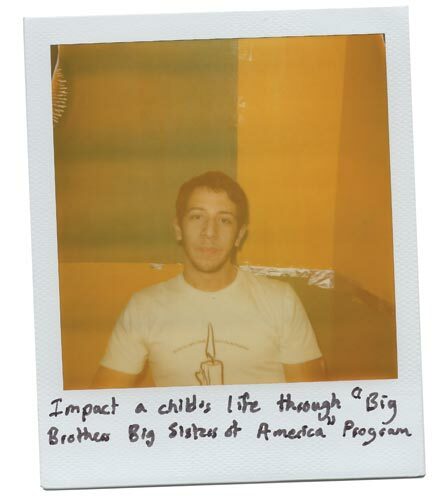 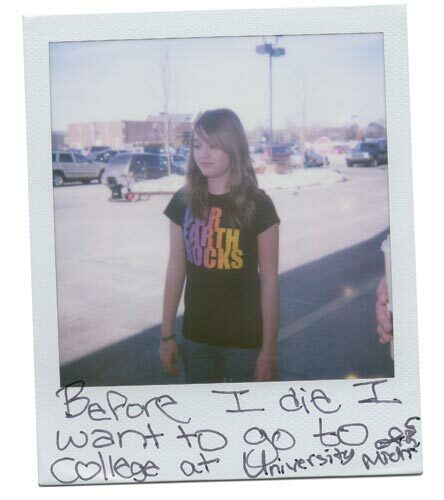 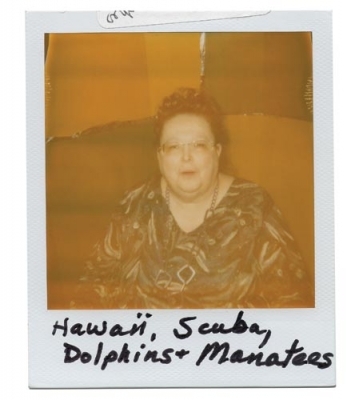 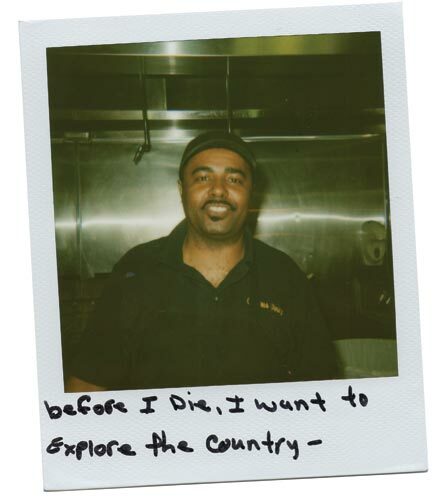 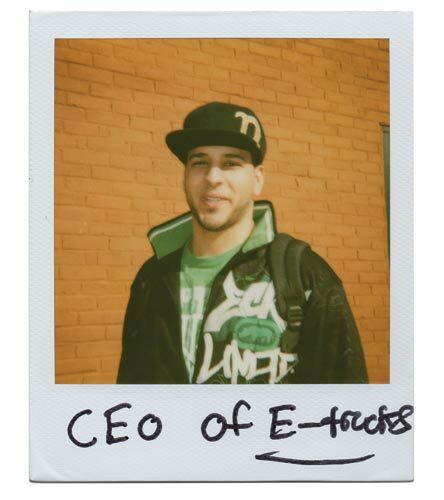 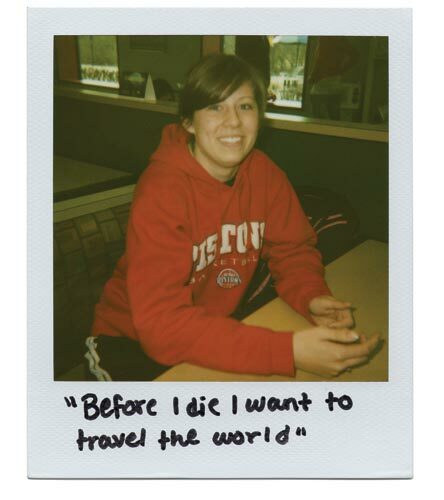 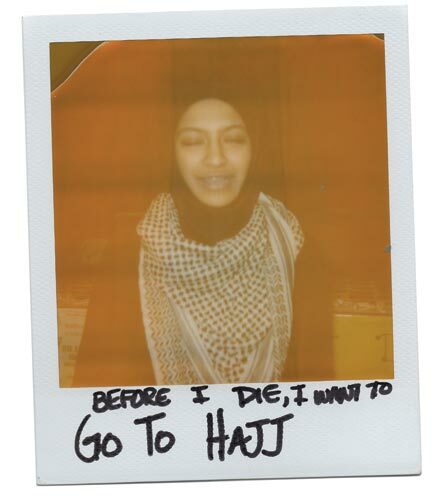 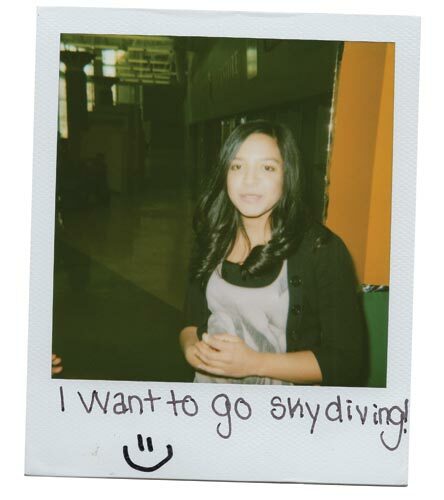 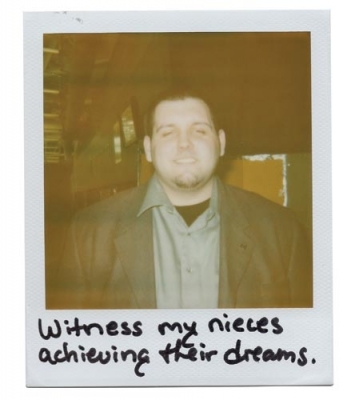 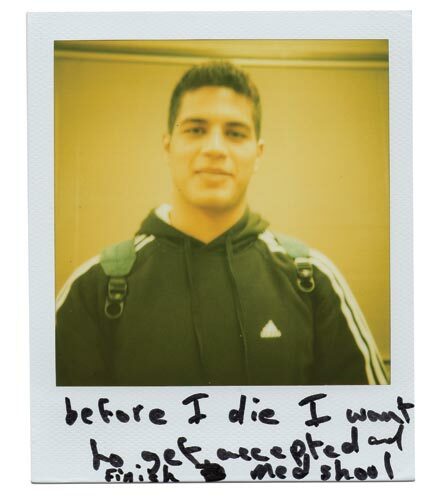 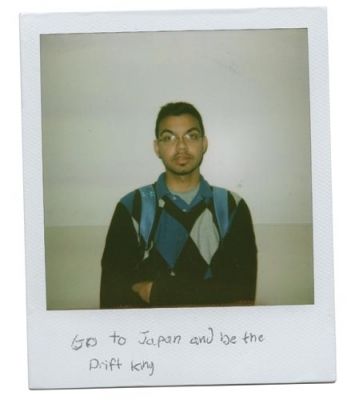 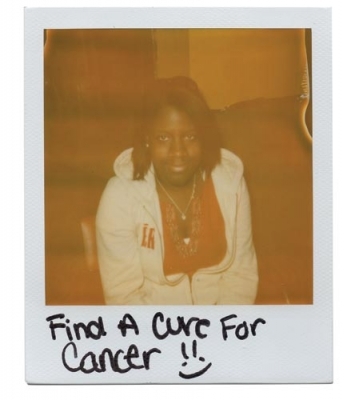 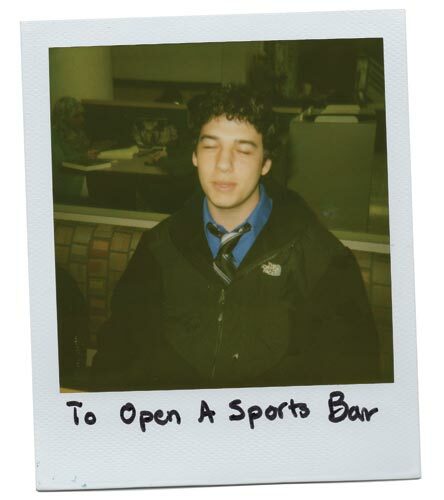 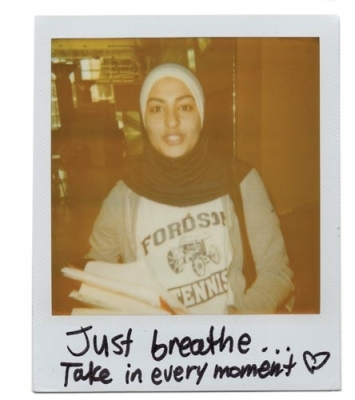 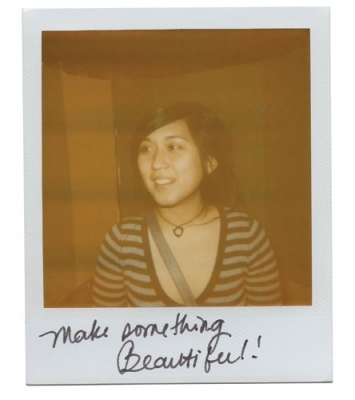 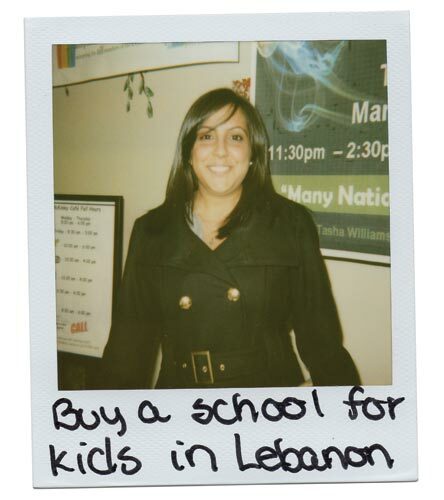 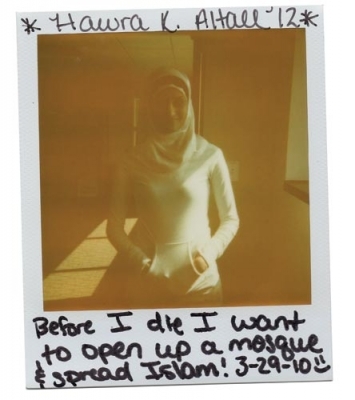 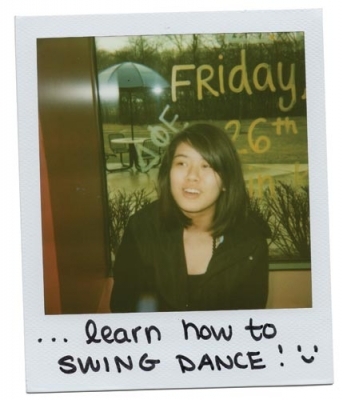 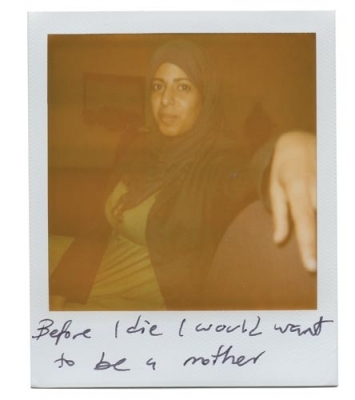 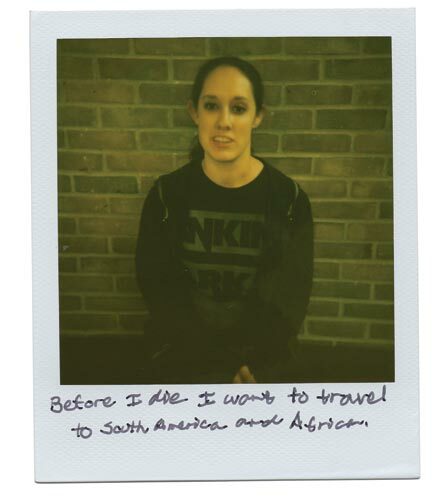 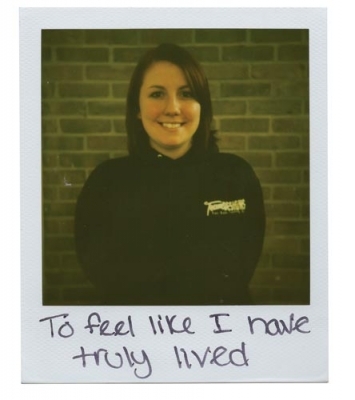 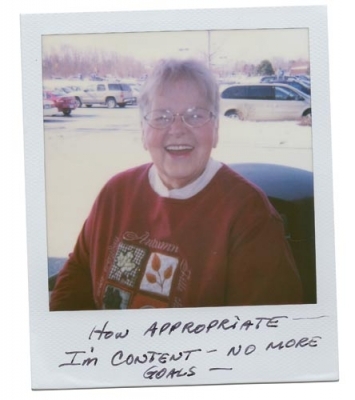 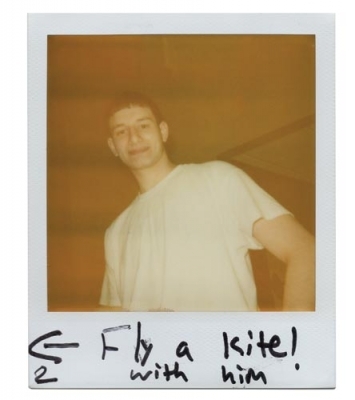 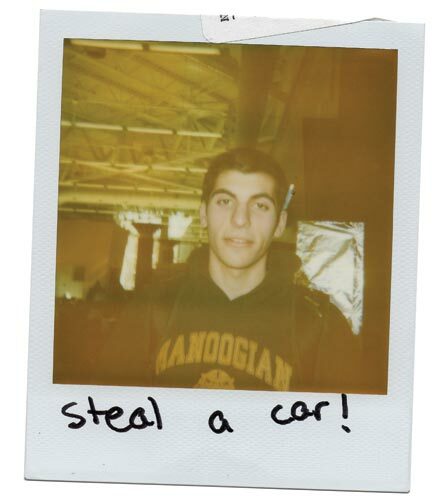 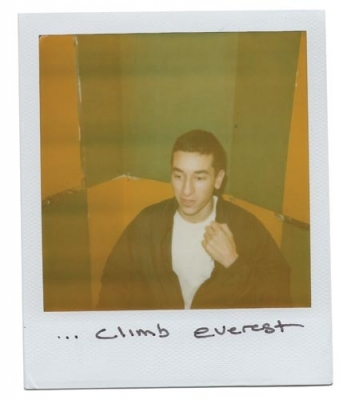 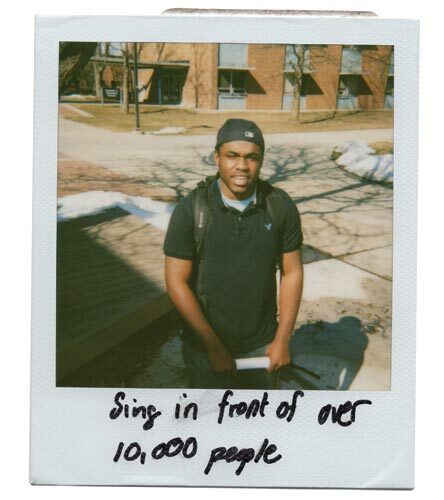 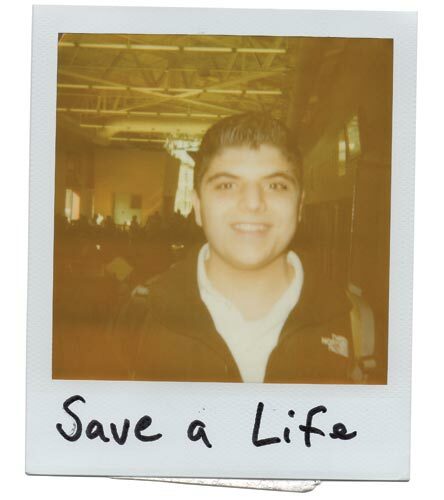 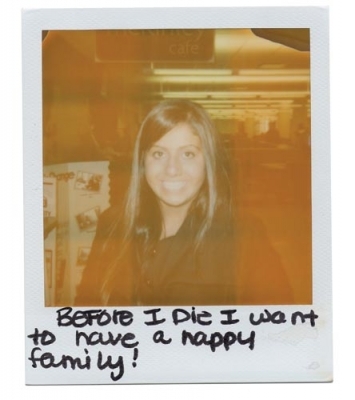 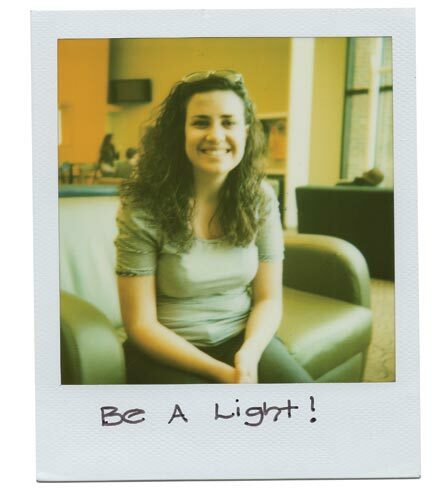 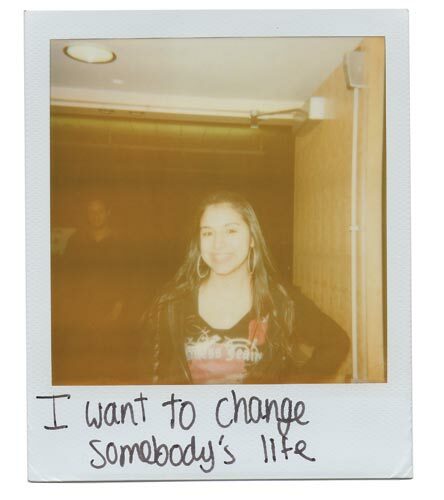 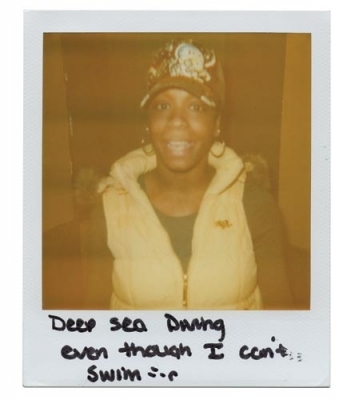 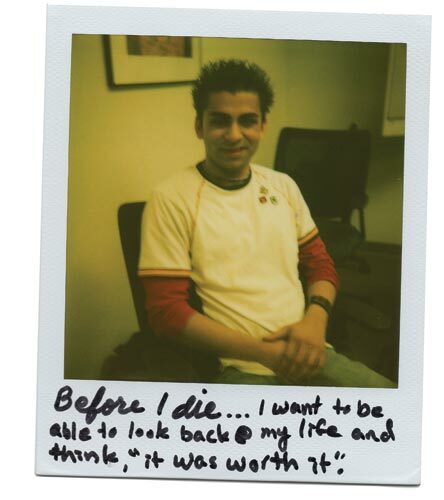 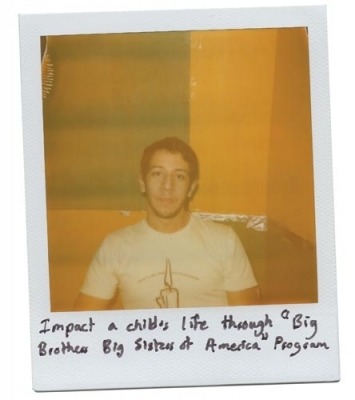 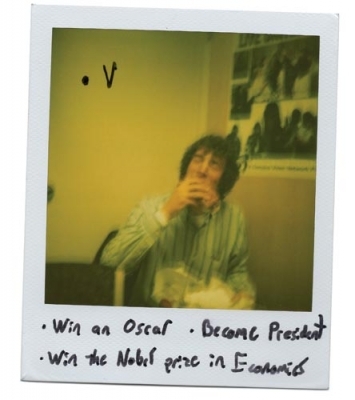 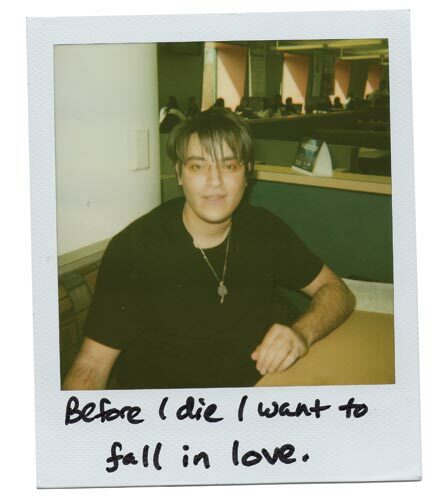 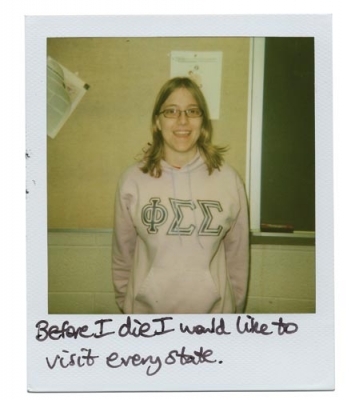 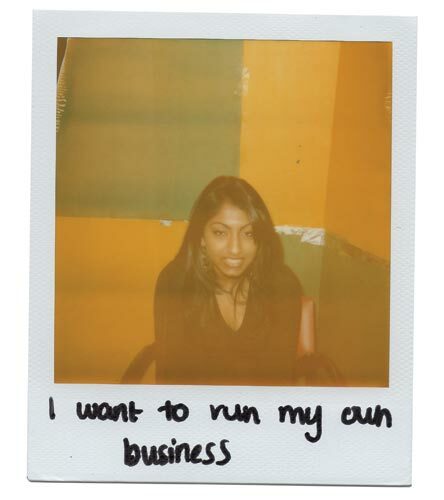 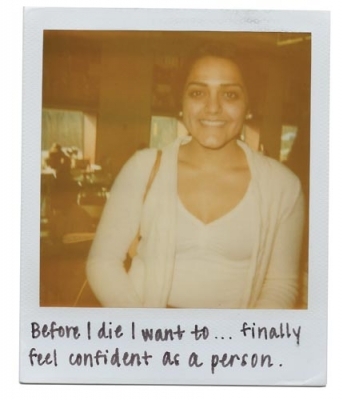 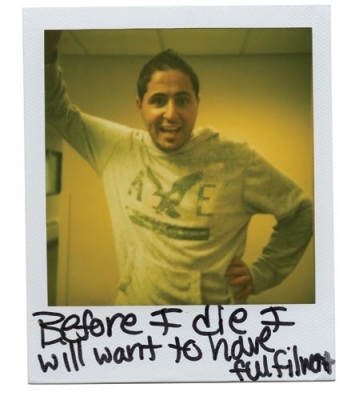 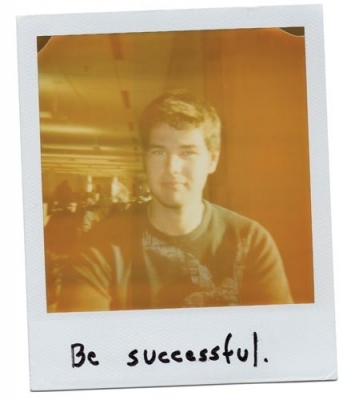 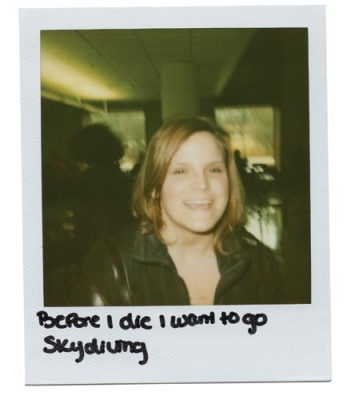 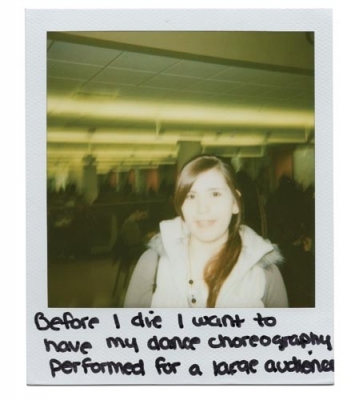 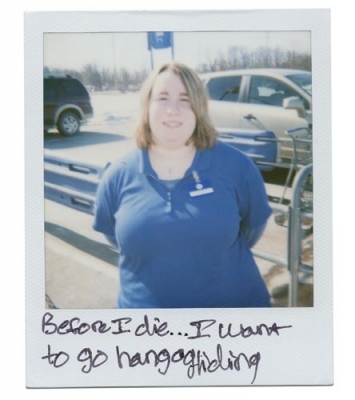 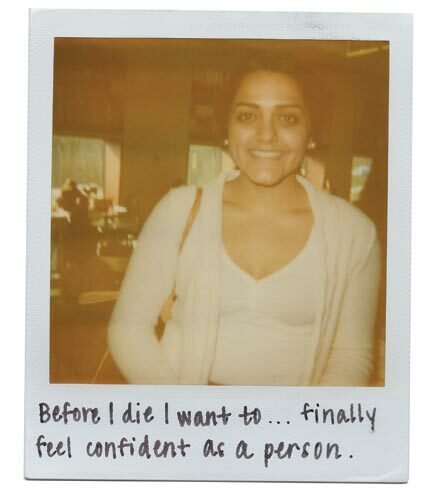 Before I die… I want to be able to look back at my life and think, "it was worth it." 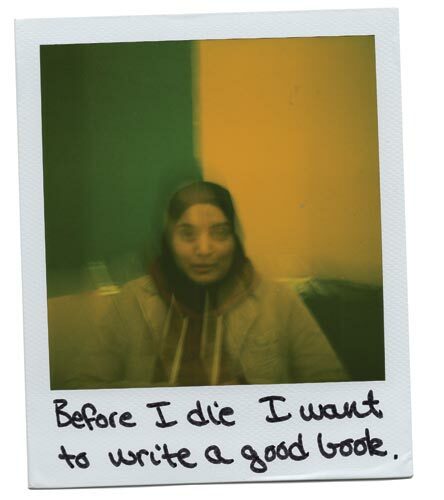 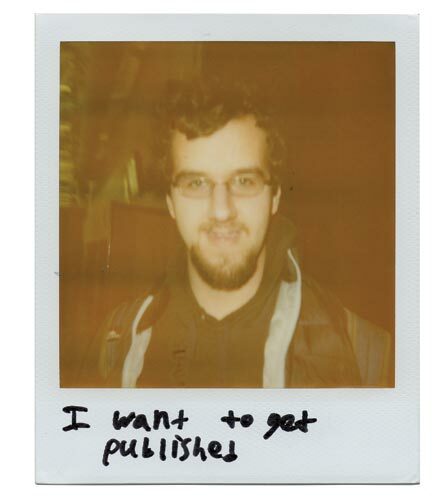 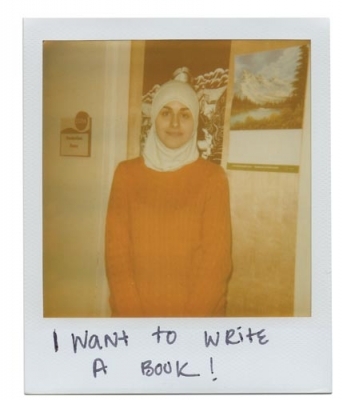 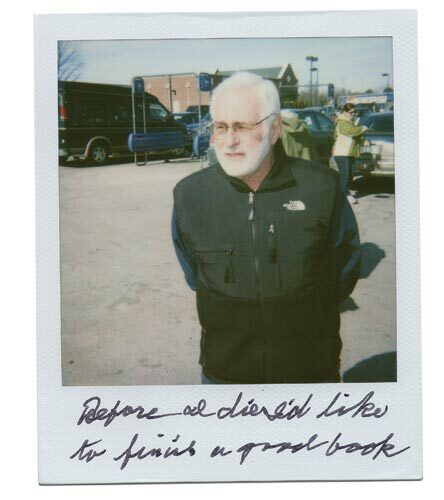 Before I die I want to write a good book. 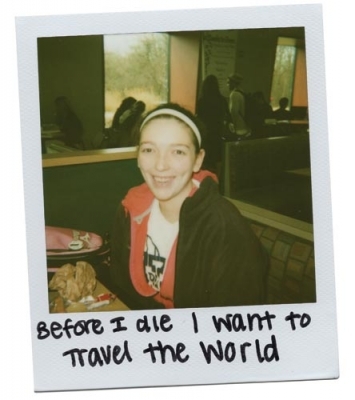 Before I die, I wanna see the world. 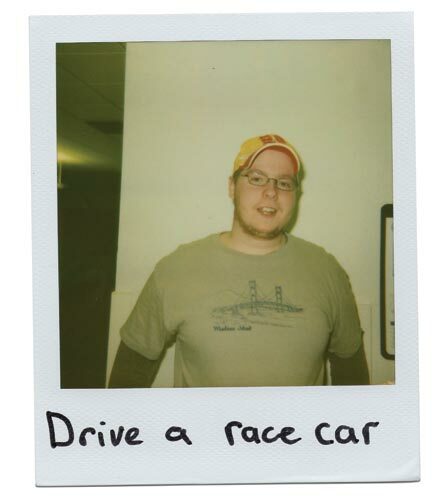 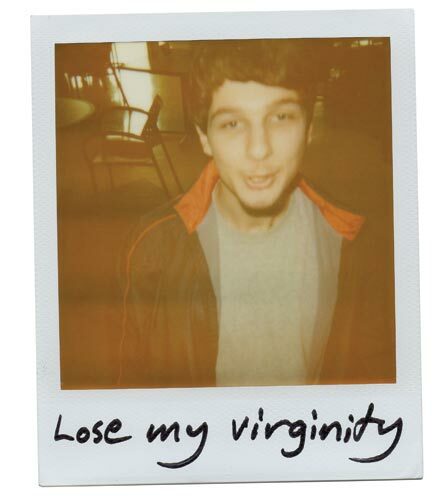 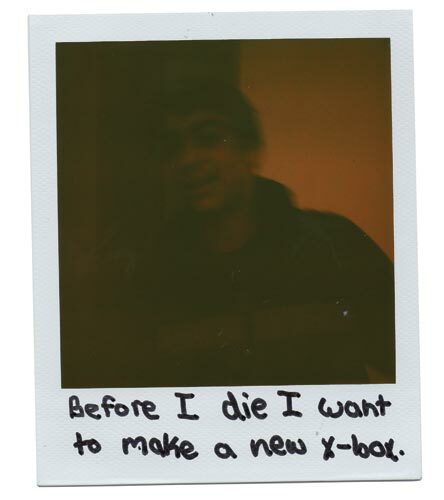 Before I die I want to make a new x-box. 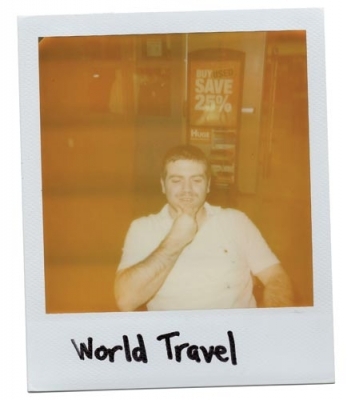 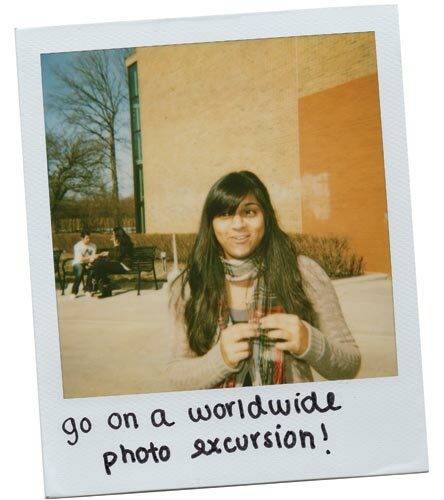 Go on a worldwide photo excursion! 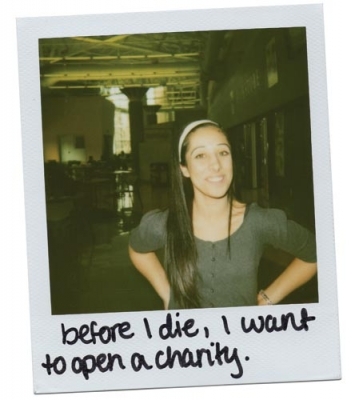 Before I die, I want to open a charity. 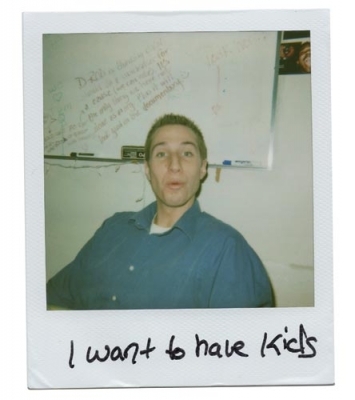 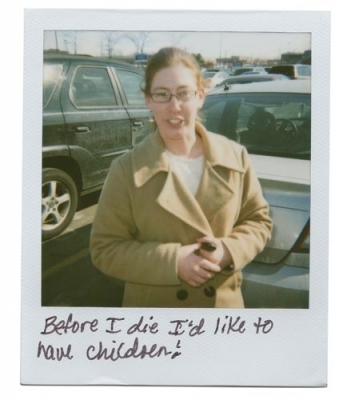 Before I die I want to have children. 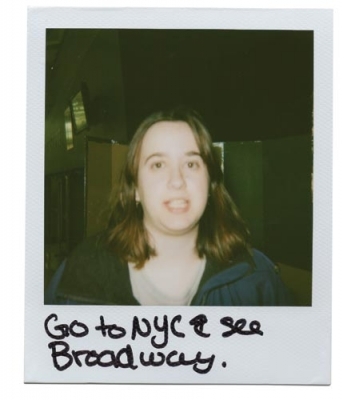 Go to NYC & see Broadway. 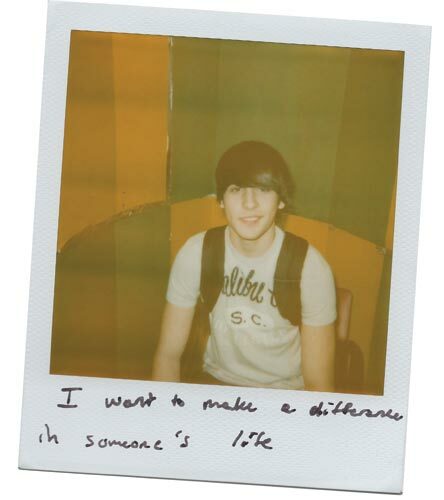 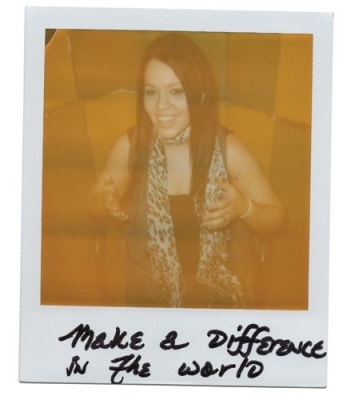 I want to make a difference in someone's life. Before I die, I want to perform plastic surgery! Before I die I would like to visit every state. 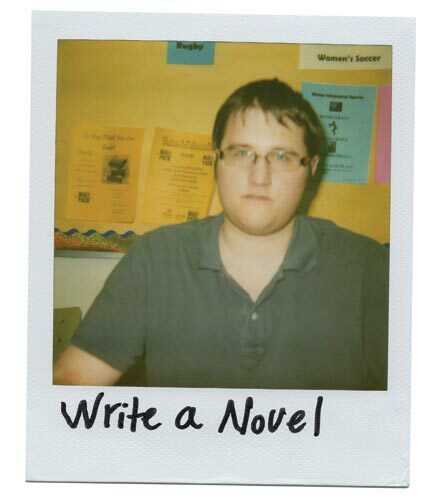 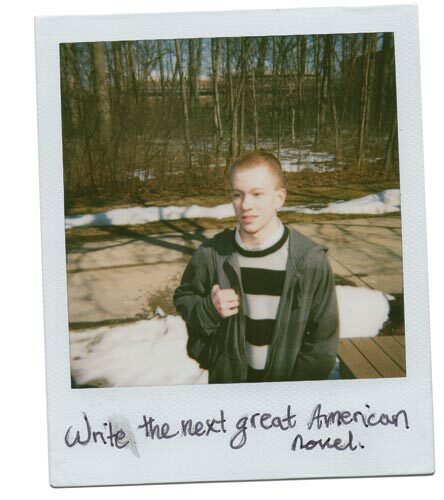 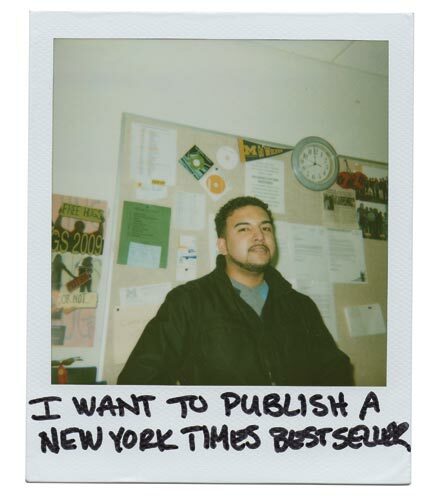 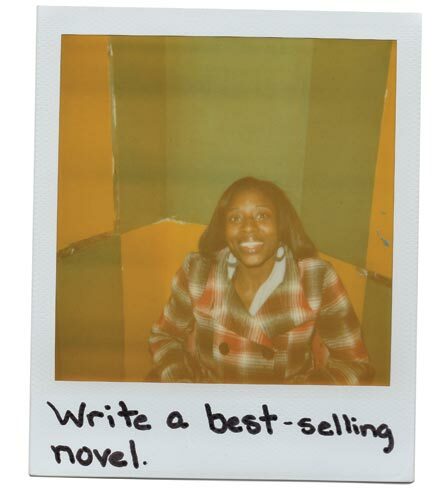 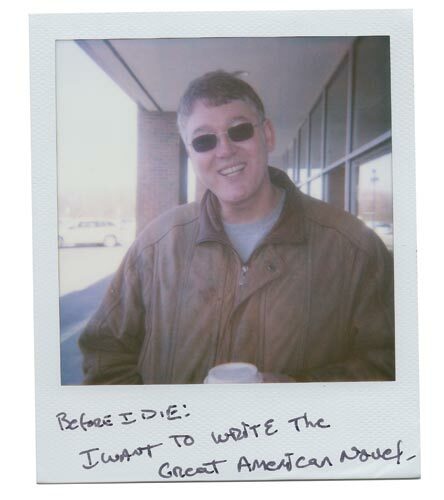 Before I die: I want to write the great american novel. 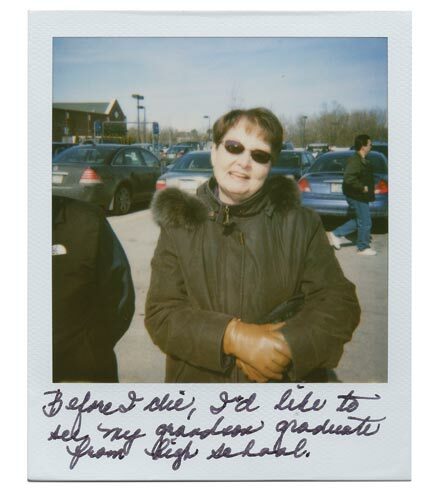 Before I die, I'd like to see my grandson graduate from high school. Before I die I want to travel Europe. 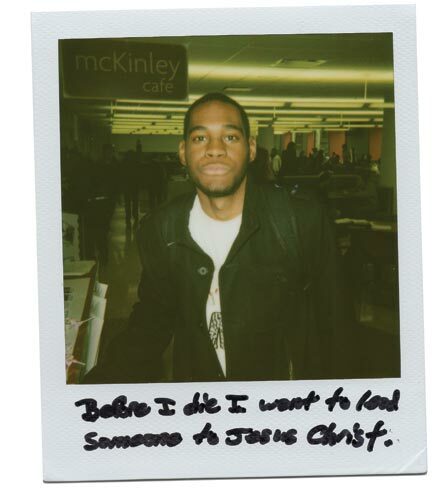 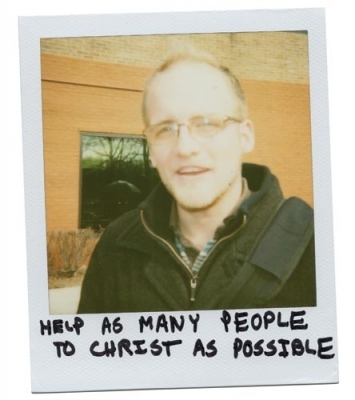 Before I die I want to lead someone to Jesus Christ. 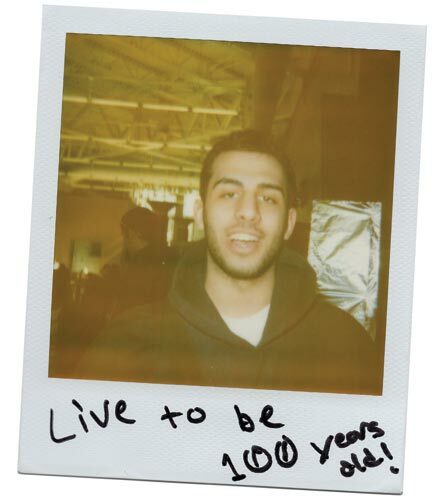 Live to be 100 years old! 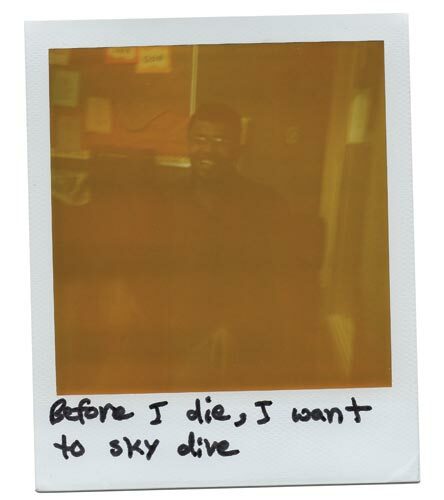 Before I die, I want to see my children exceed + succeed far beyone my expectations for myself (and them) AND see the great wall of China! 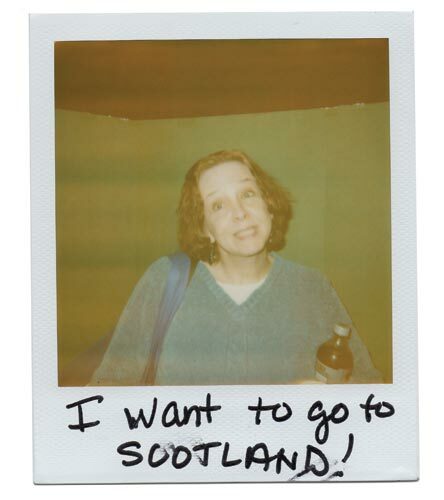 I want to go to SCOTLAND! 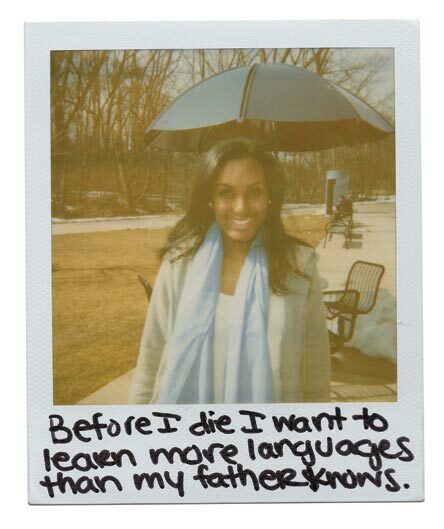 Before I die I want to learn more languages than my father knows. 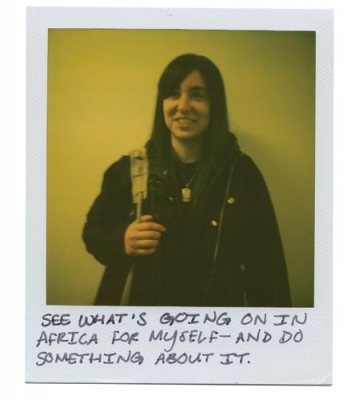 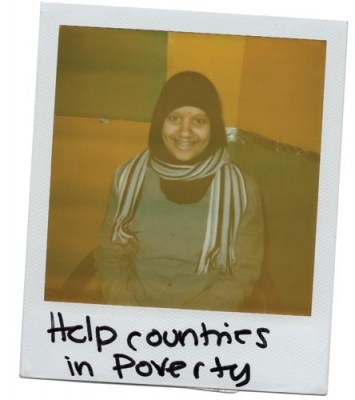 See what's going on in Africa for myself—and do something about it. 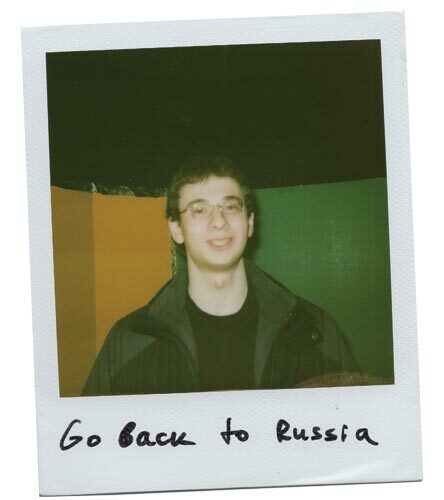 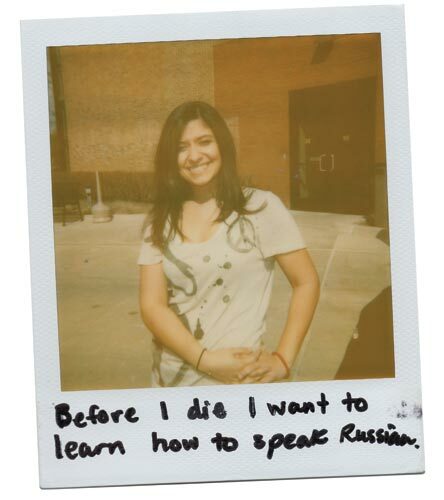 Before I die I want to learn how to speak Russian. 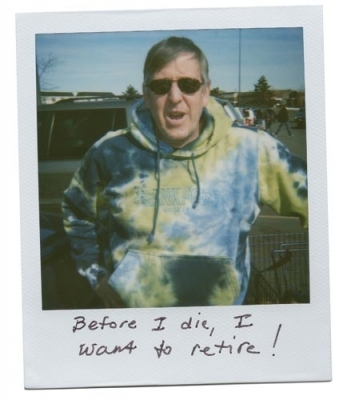 Before I die, I want to retire! 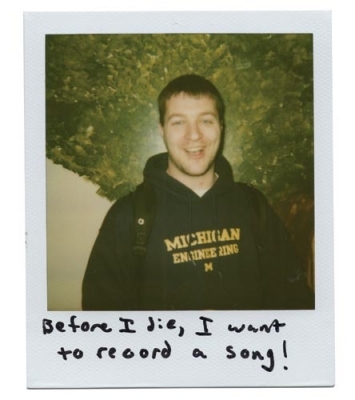 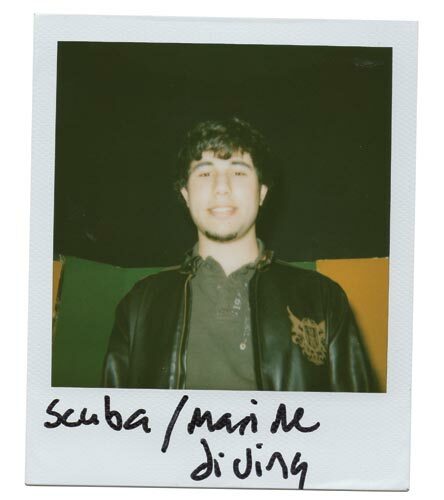 Before I die, I want to record a song! 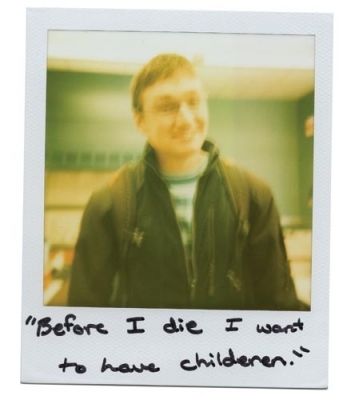 Before I die I'd like to have children! 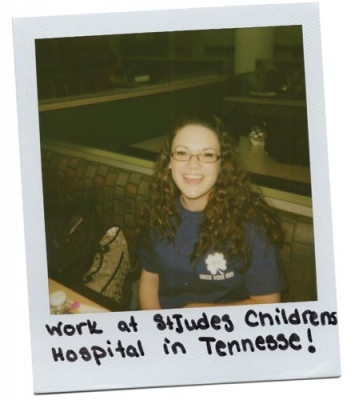 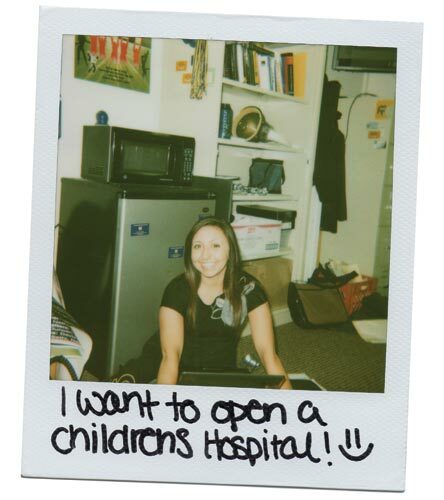 Work at St. Jude's Children's Hospital in Tennessee! 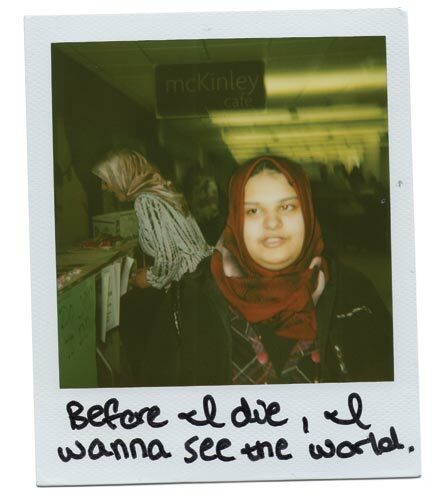 Before I die, I want to see all the beauty in the world. Before I die, I want to see all the beauty in the world. 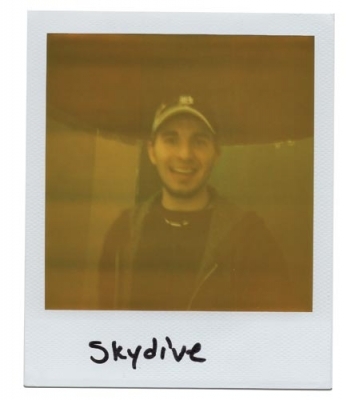 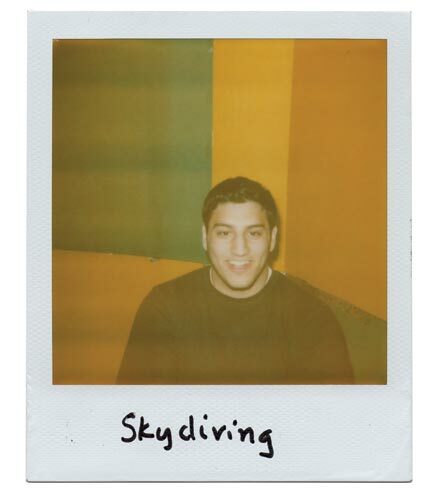 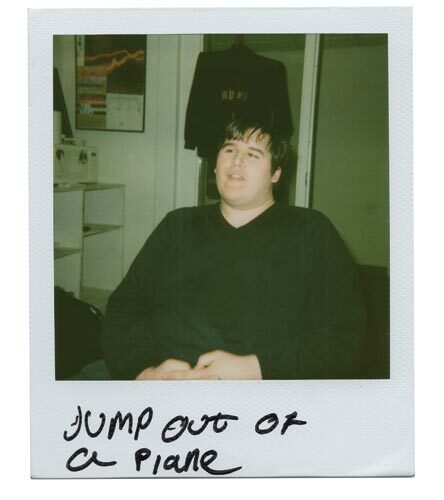 I want to go skydiving! 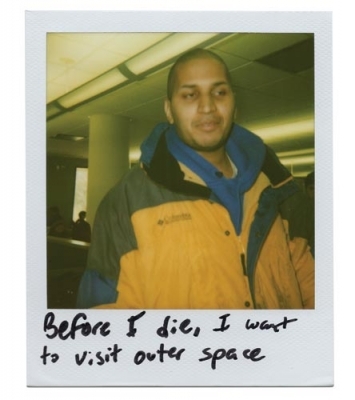 I want to go to space! 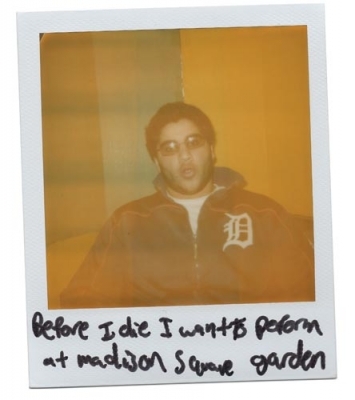 I want to see the Lions with the Super bowl! 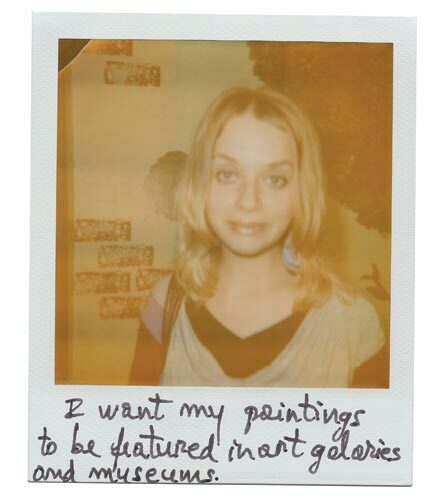 I want my paintings to be featured in art galleries and museums. 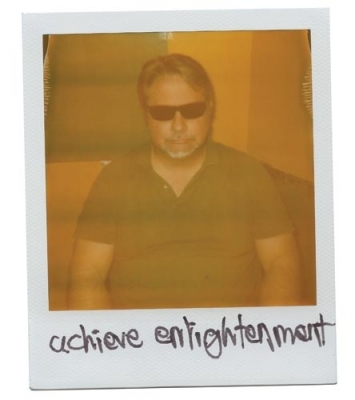 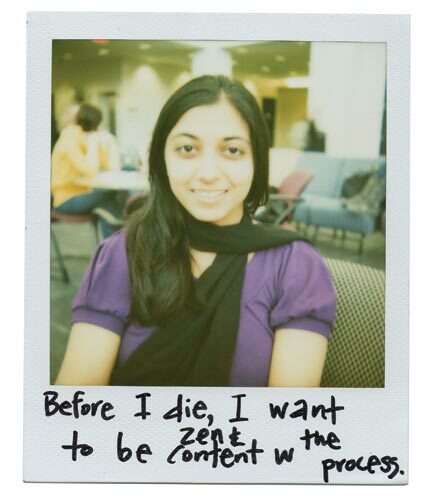 Before I die, I want to be zen & content with the process. 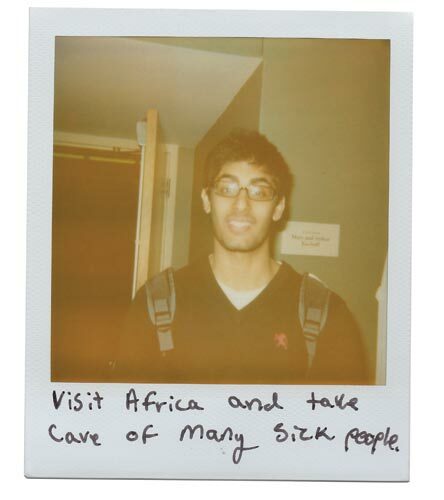 Visit Africa and take care of many sick people. 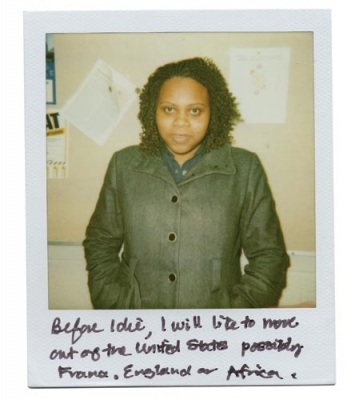 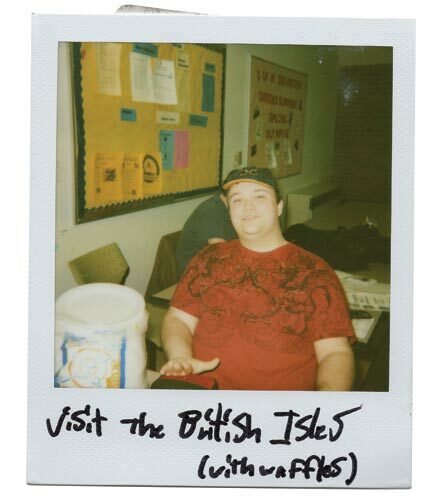 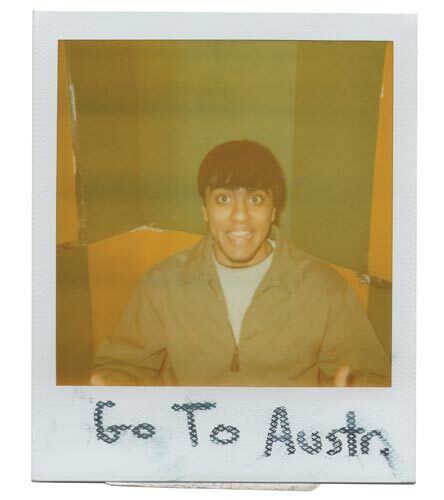 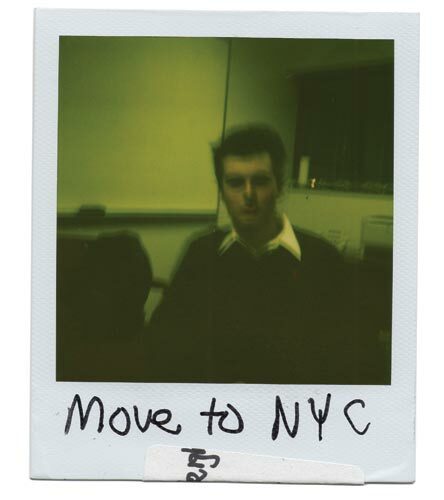 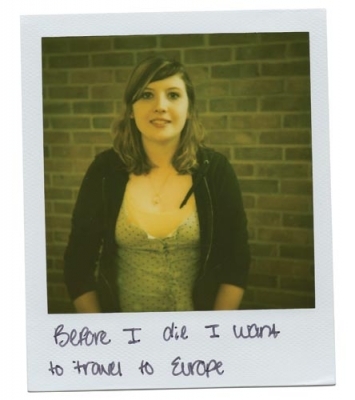 Before I die, I will like to move out of the United States posibly France, England, or Africa. 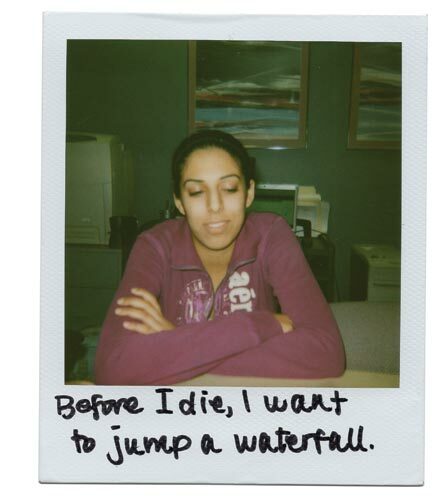 Before I die, I want to jump a waterfall. 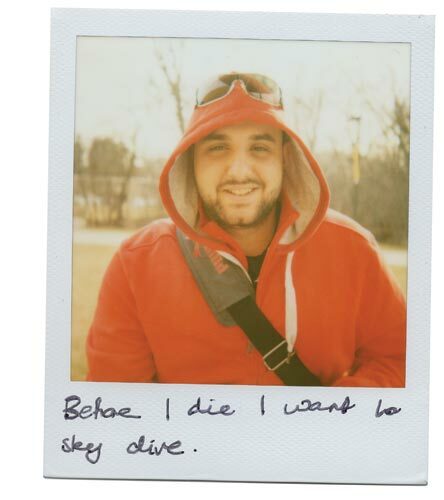 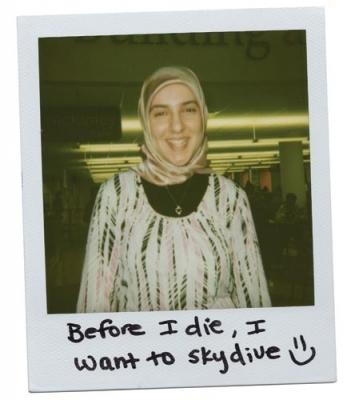 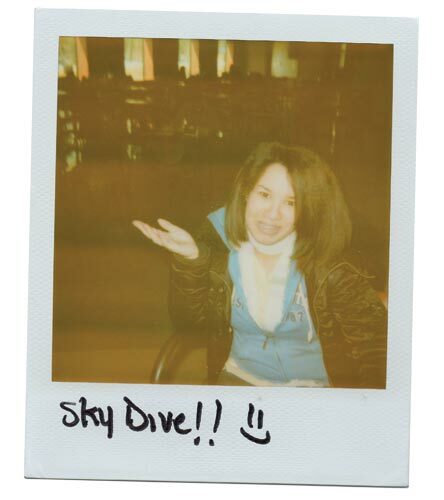 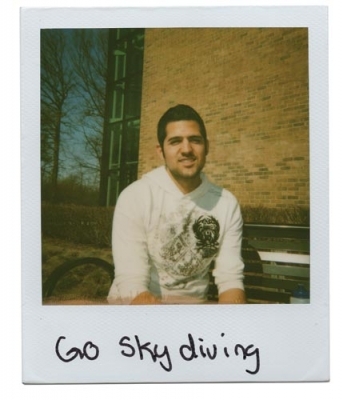 Before I die I want to sky dive. 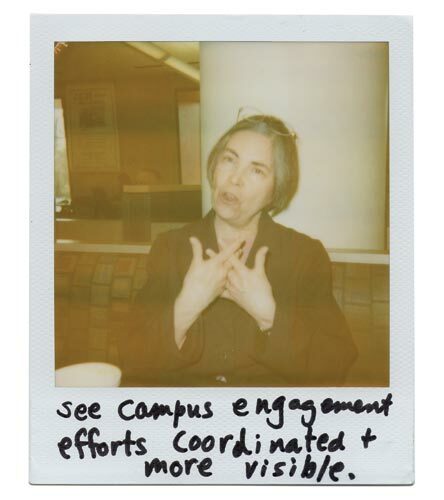 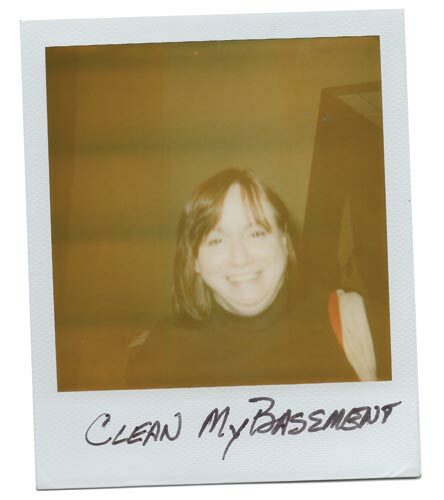 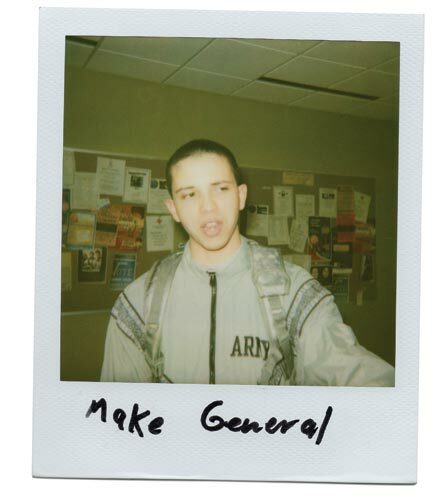 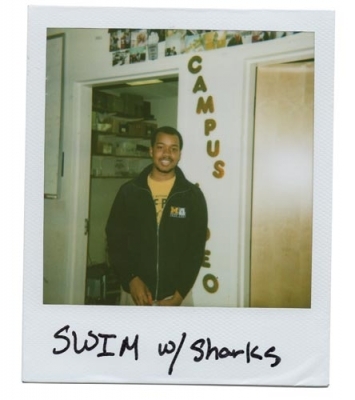 See campus engagement efforts coordinated & more visible. 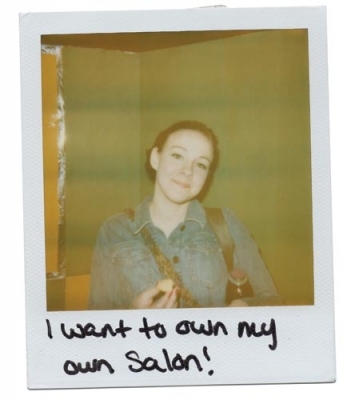 I want to own my own Salon! 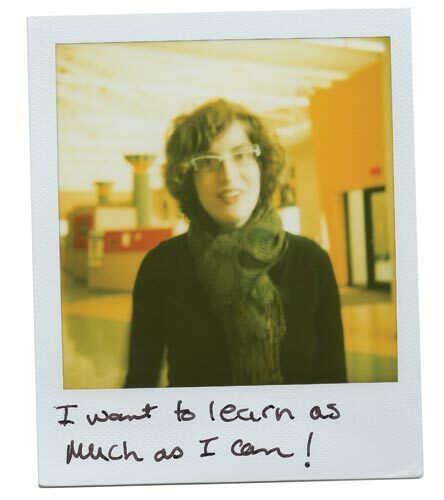 I want to learn as much as I can! 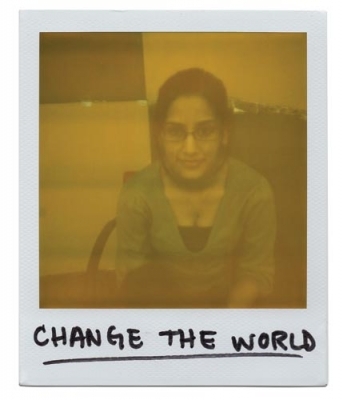 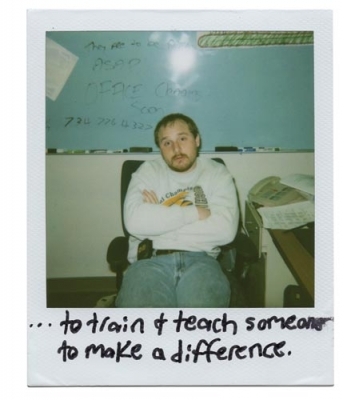 … to train & teach someone to make a difference. 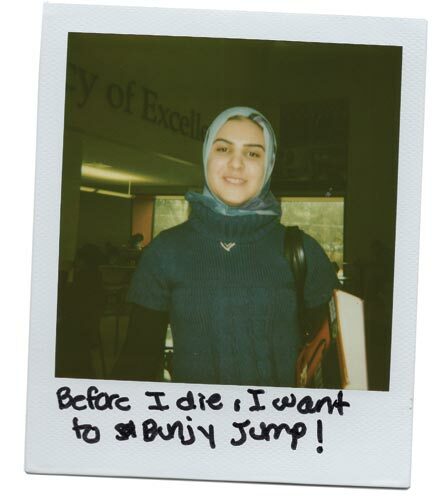 Before I die, I want to Bungy Jump! 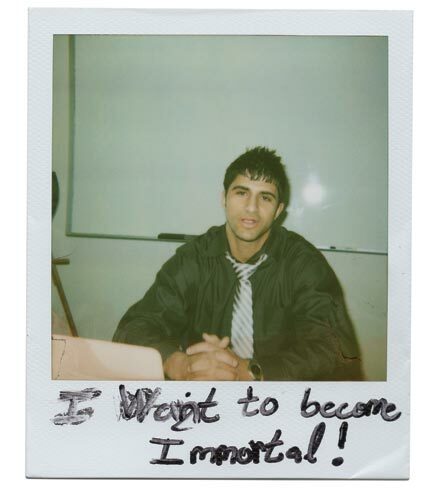 I want to become Immortal! 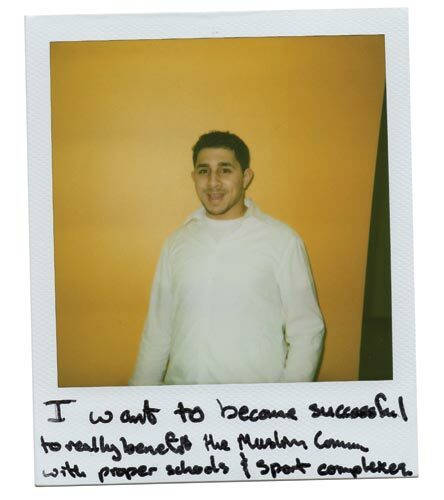 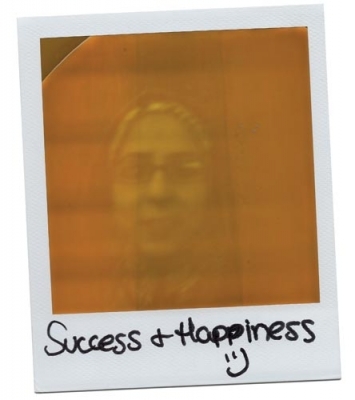 I want to become successful to really benefit the Muslim Comm with proper schools & sport complexes. Write the next great American novel. 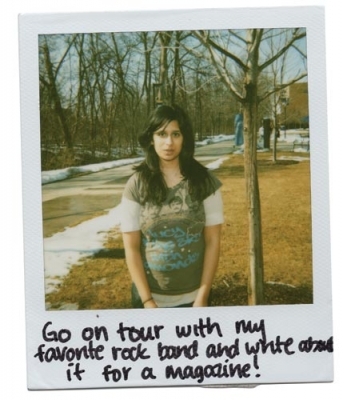 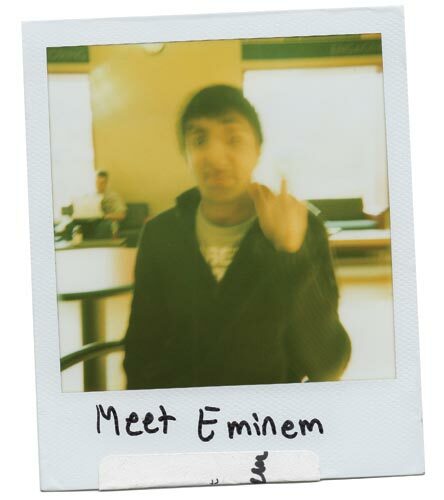 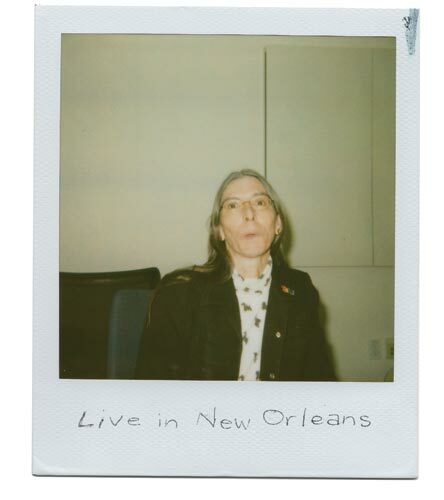 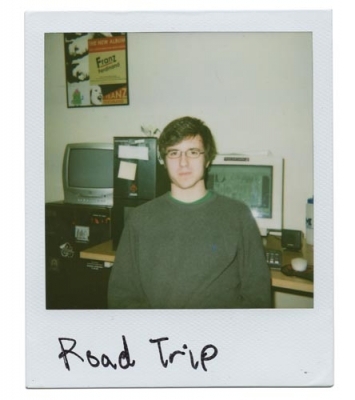 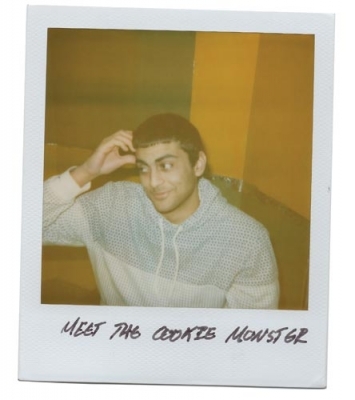 Go on tour with my favorite rock band and write about it for a magazine! I want to travel the world!! 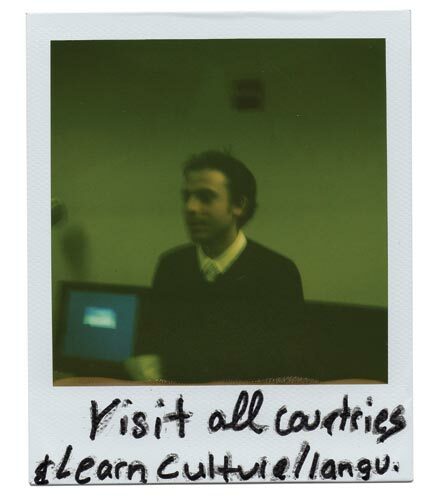 Visit all countries & learn culture/langu. 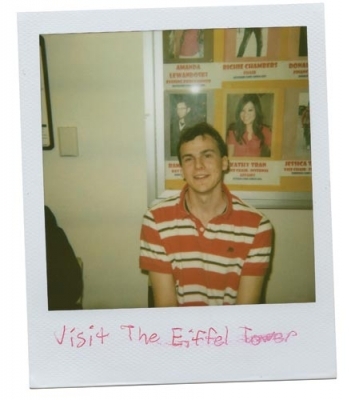 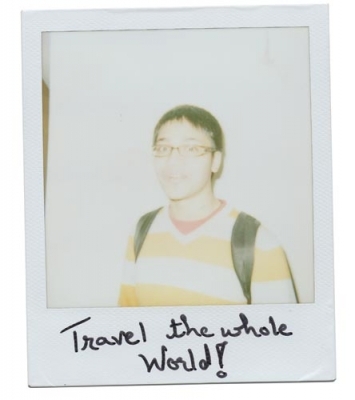 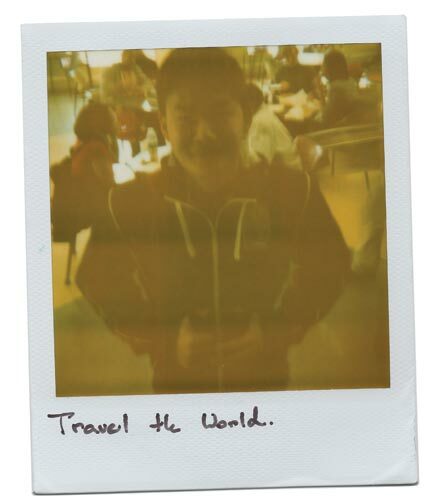 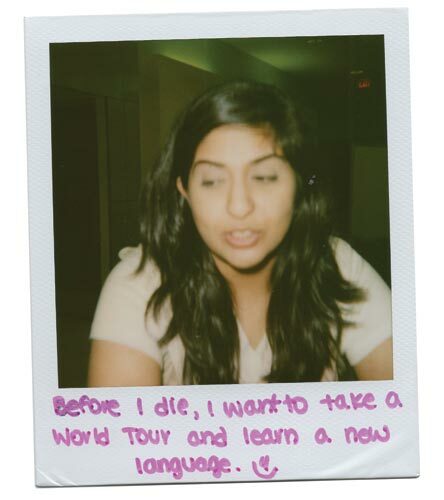 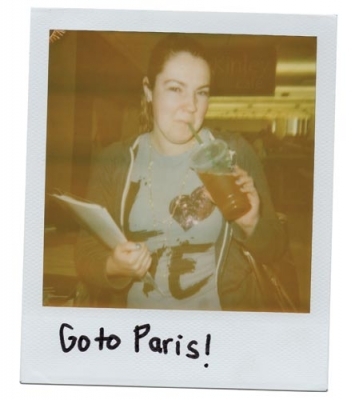 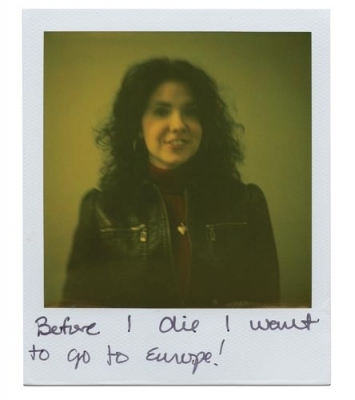 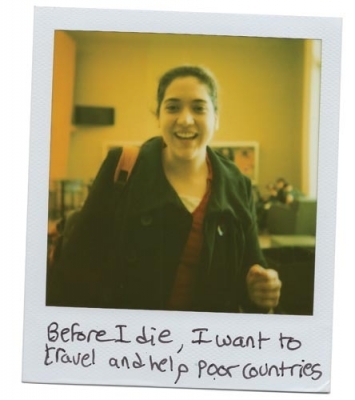 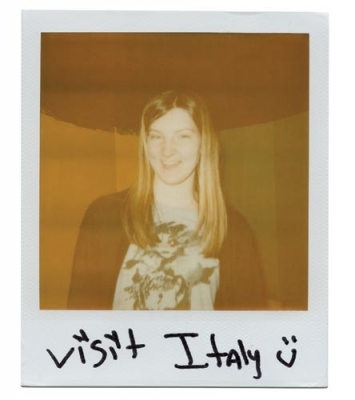 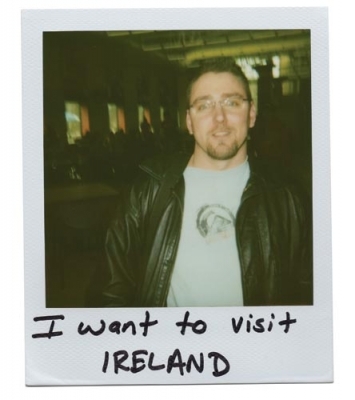 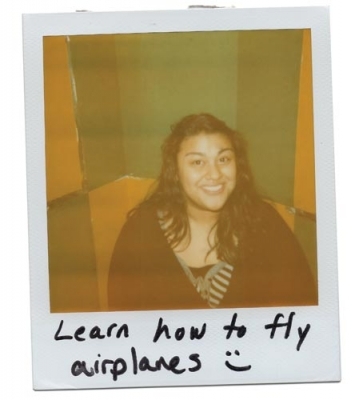 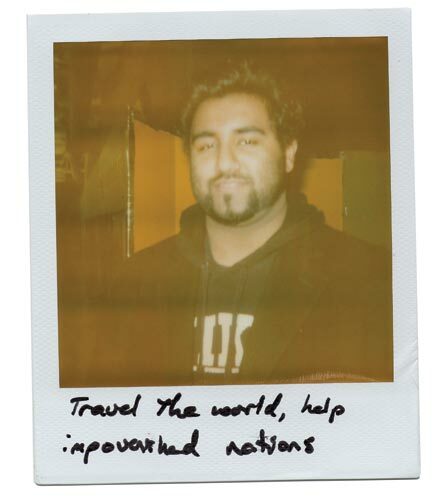 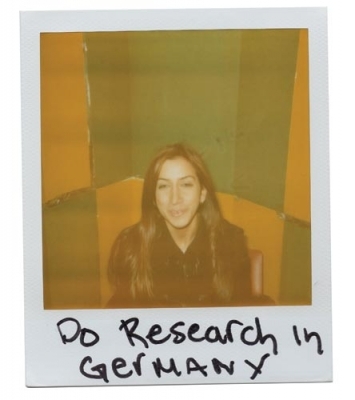 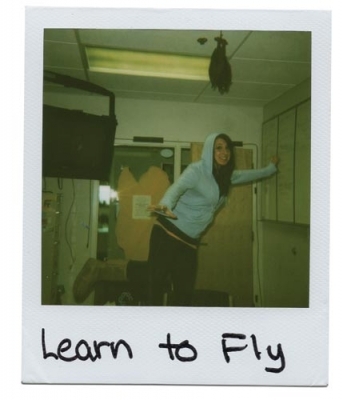 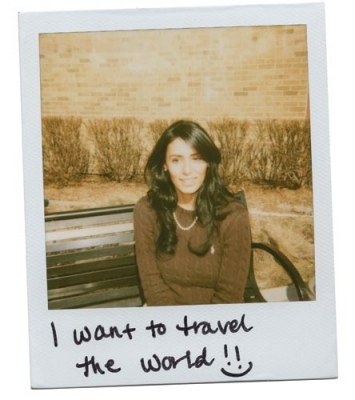 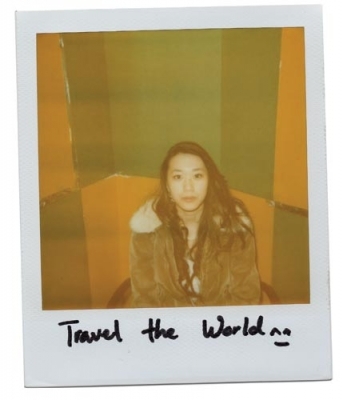 Before I die, I want to take a world tour and learn a new language. 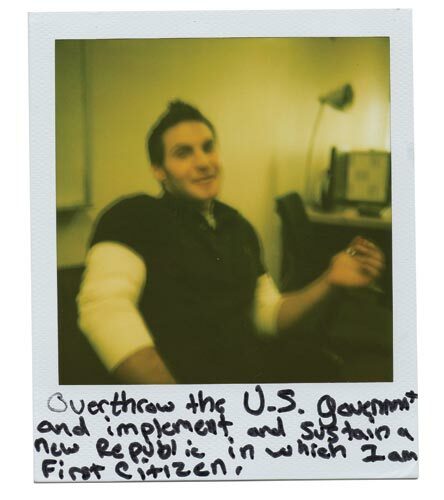 Overthrow the U.S. Government and implement and sustain a new Republic in which I am First Citizen. 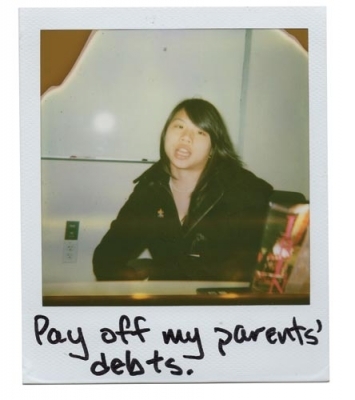 Pay off my parents' debts. 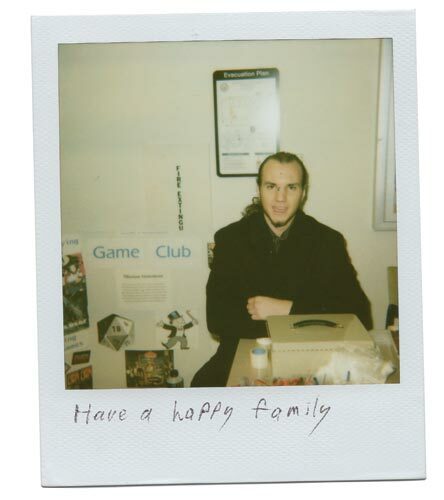 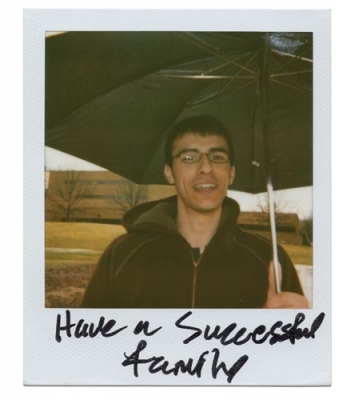 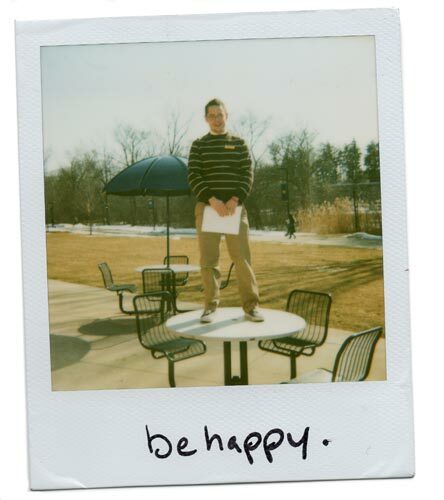 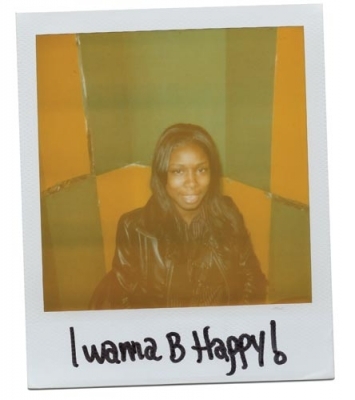 Before I die I want to have a happy family! 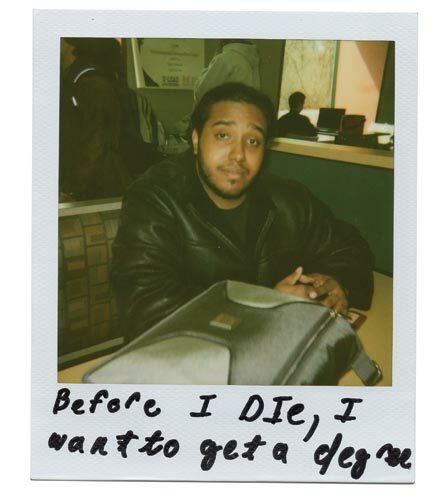 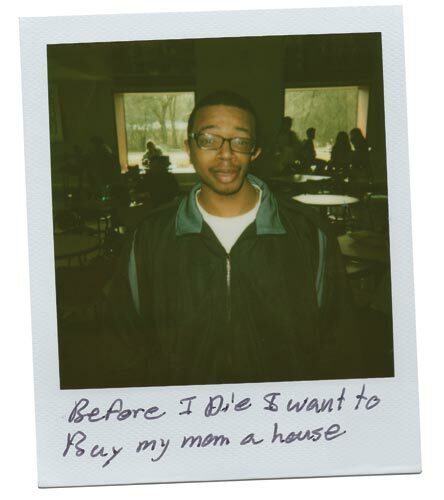 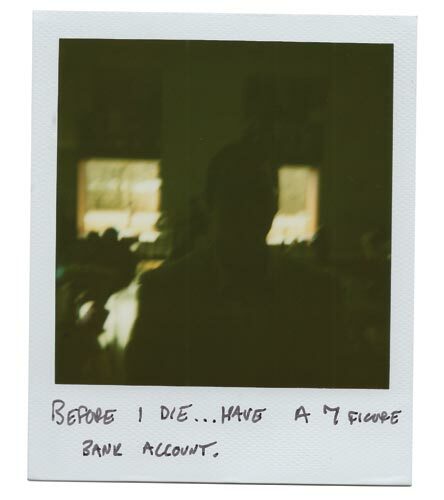 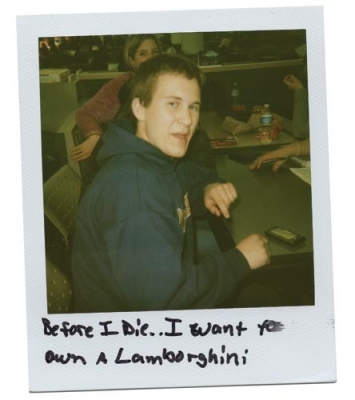 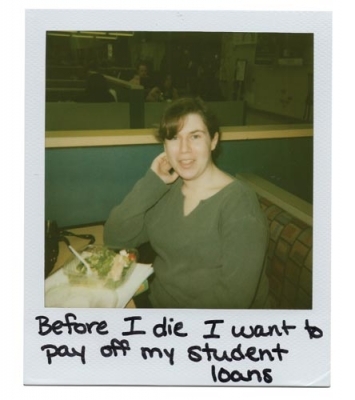 Before I die… have a 7 figure bank account. 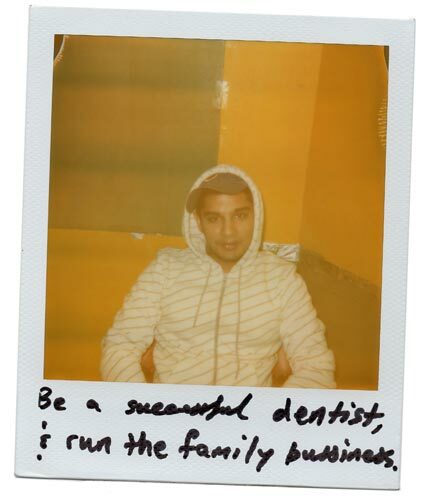 Be a successful dentist, & run the family bussiness. Skydiving in the grand canyon! 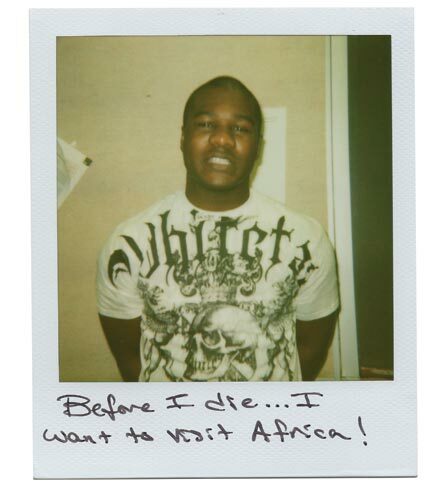 Before I die… I want to visit Africa! 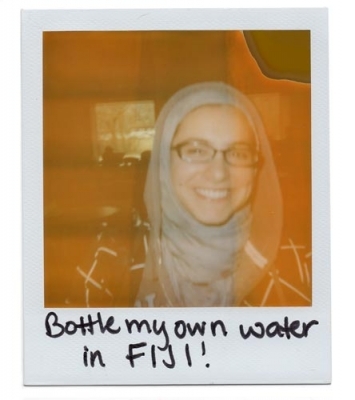 Bottle my own water in FIJI! Before I die I want to stop worrying about things that I can't take with me. 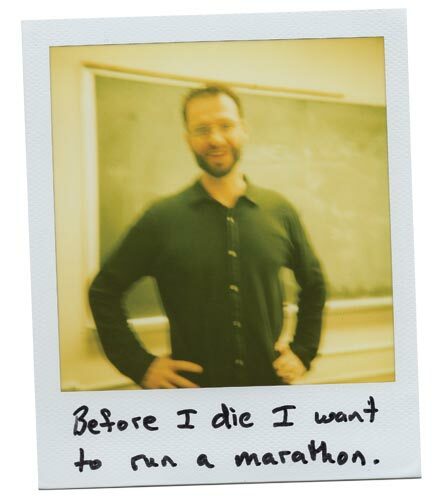 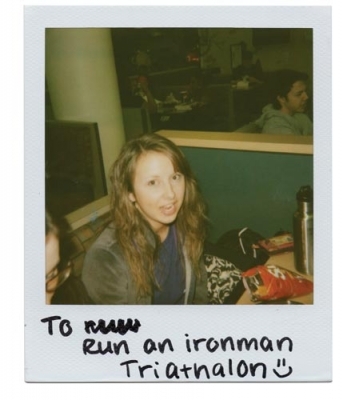 Before I die I want to run a marathon. 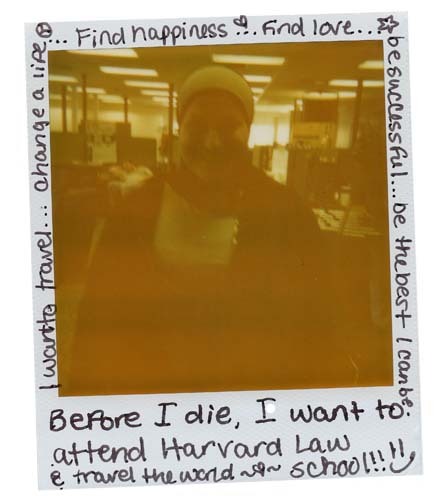 Before I die, I want to attend Harvard LawSchool!! 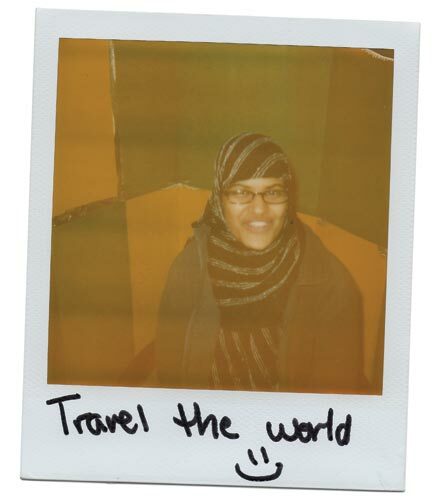 :) & travel the world ~<3~ I want to travel… change a life… Find happiness <3… Find love… be successful… be the best I can be. 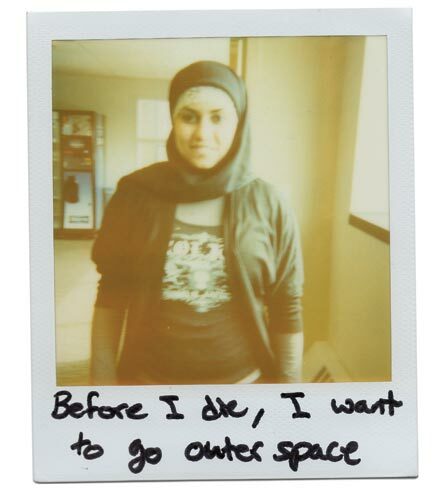 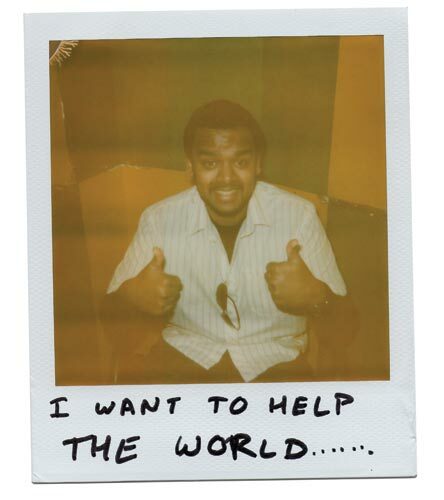 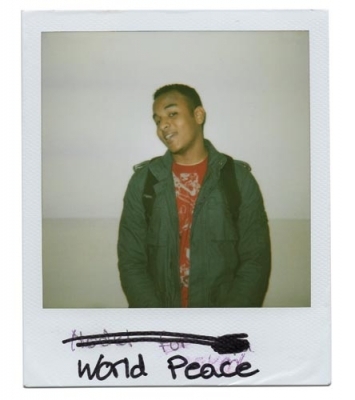 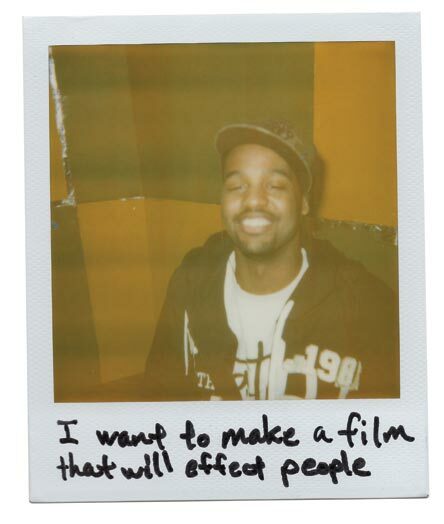 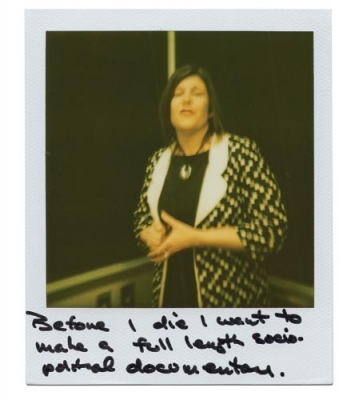 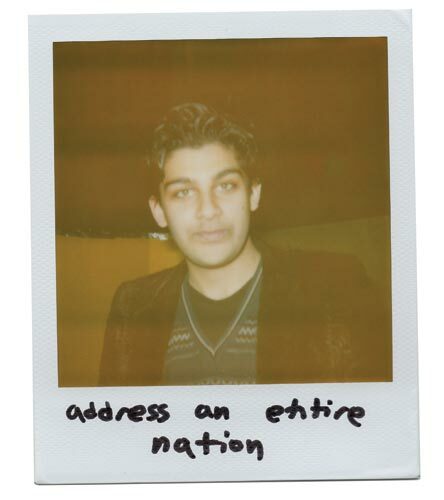 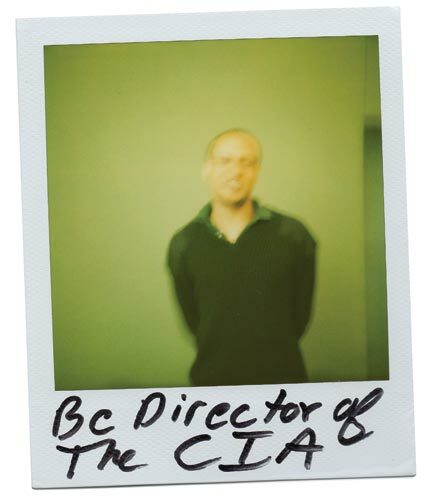 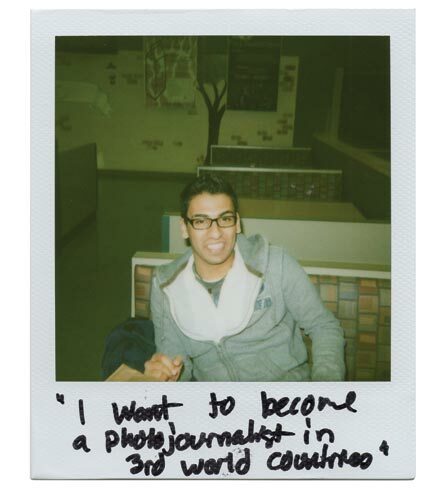 Before I die I want to make a full length socio-political documentary. 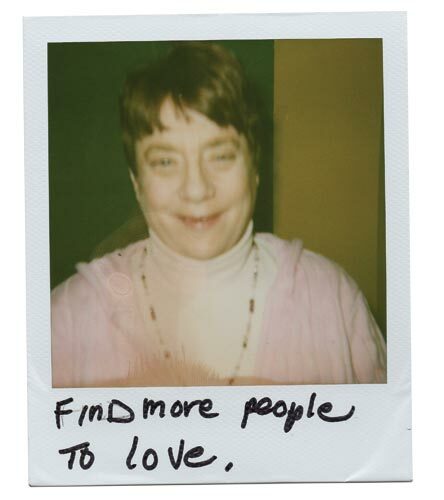 Find more people to love. 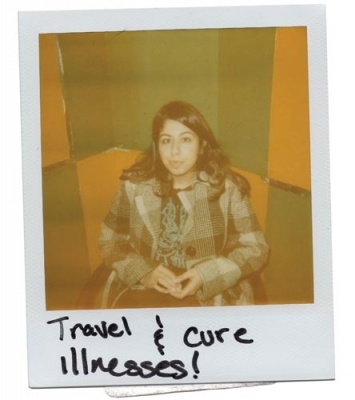 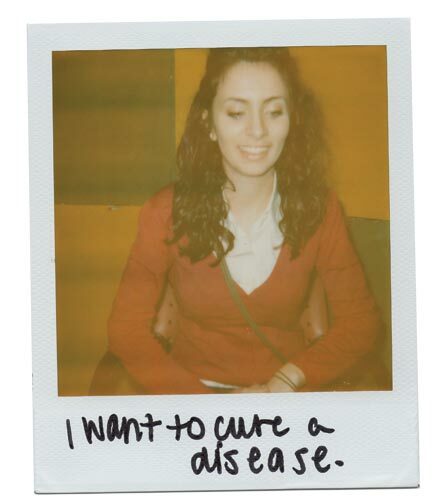 I want to cure a disease. 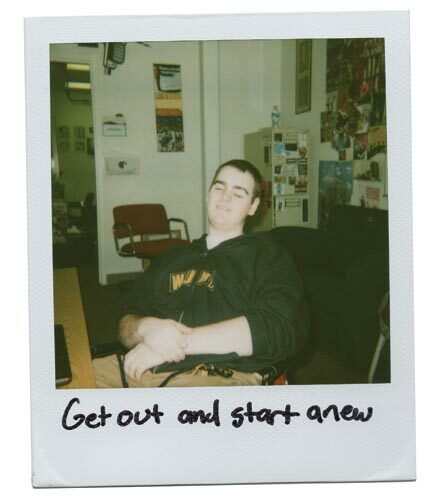 Get out and start anew. 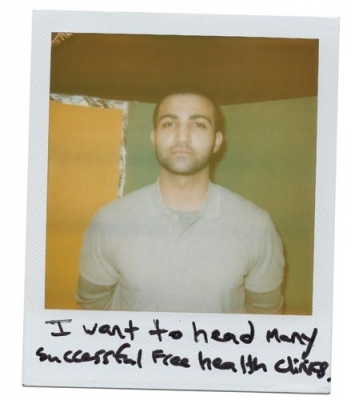 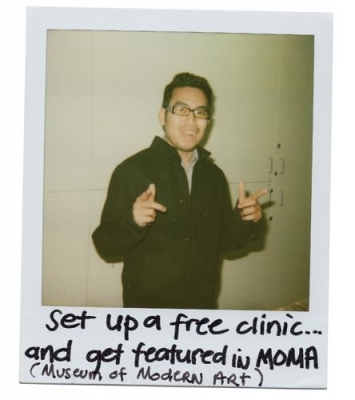 I want to head many successful free health clinics. 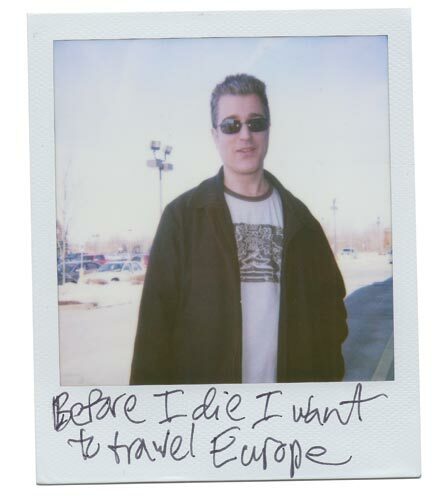 Before I die I want to go to Europe!